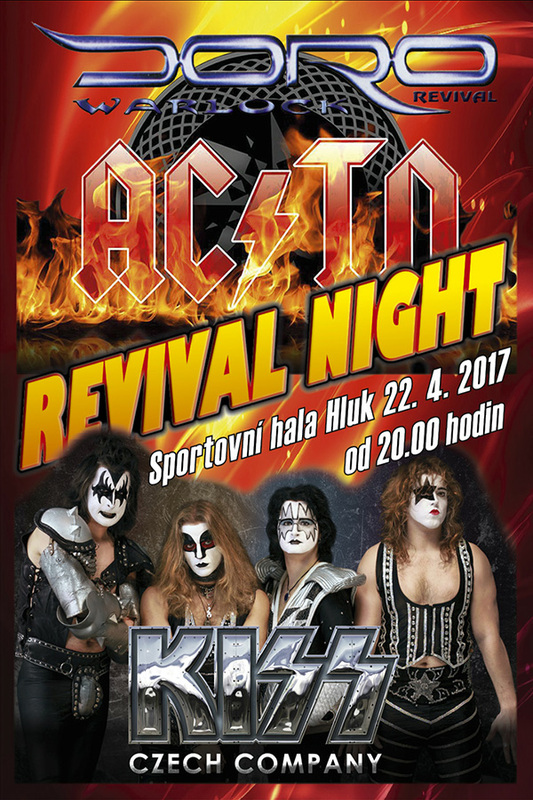 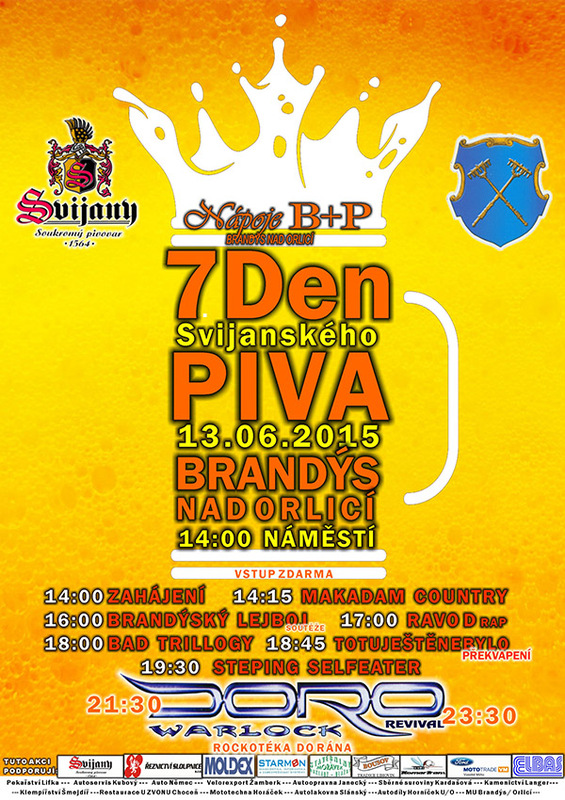 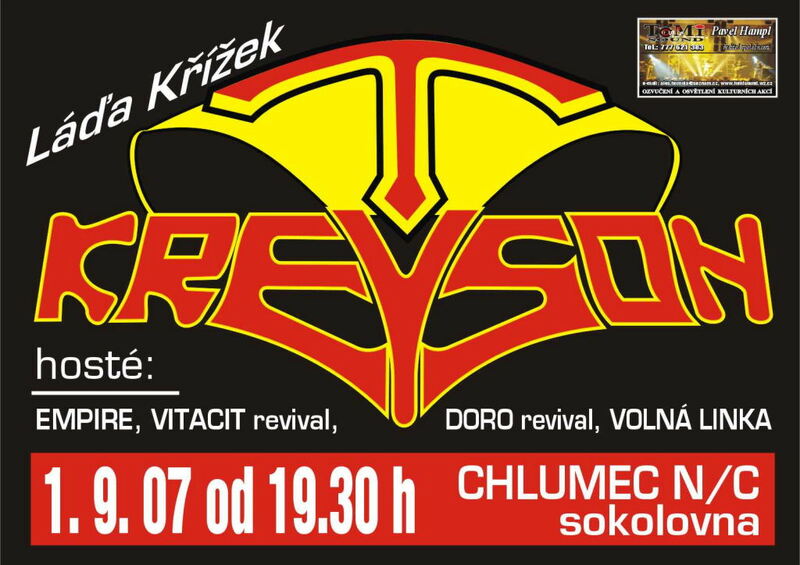 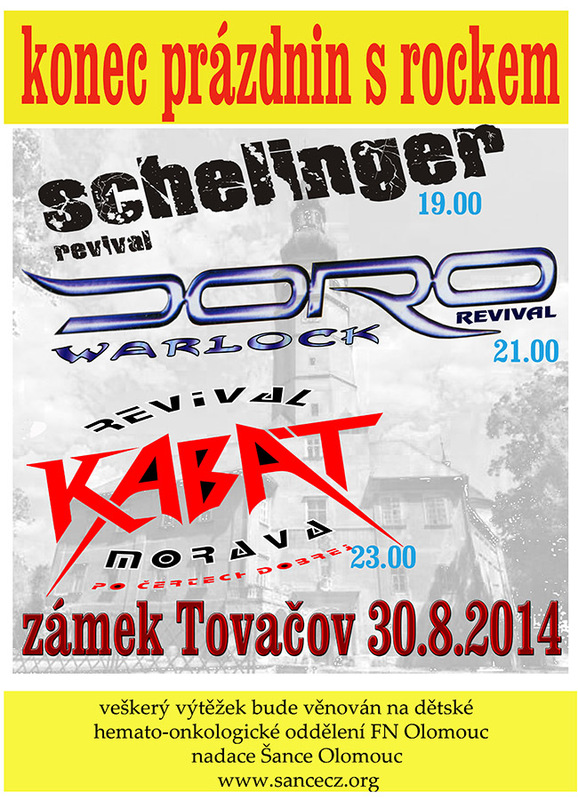 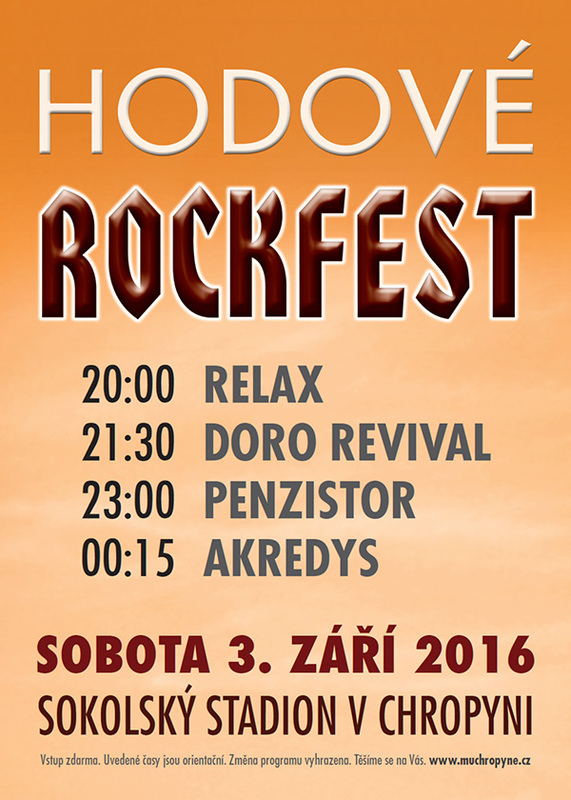 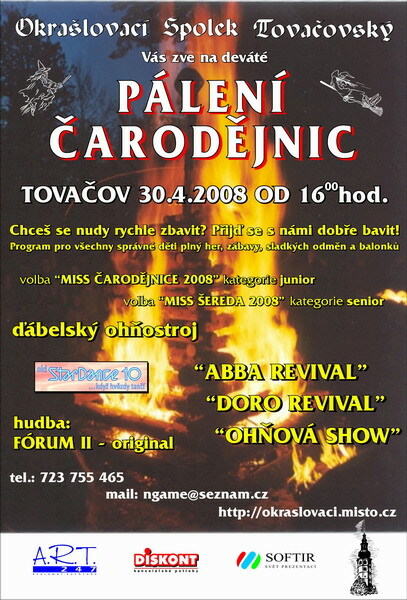 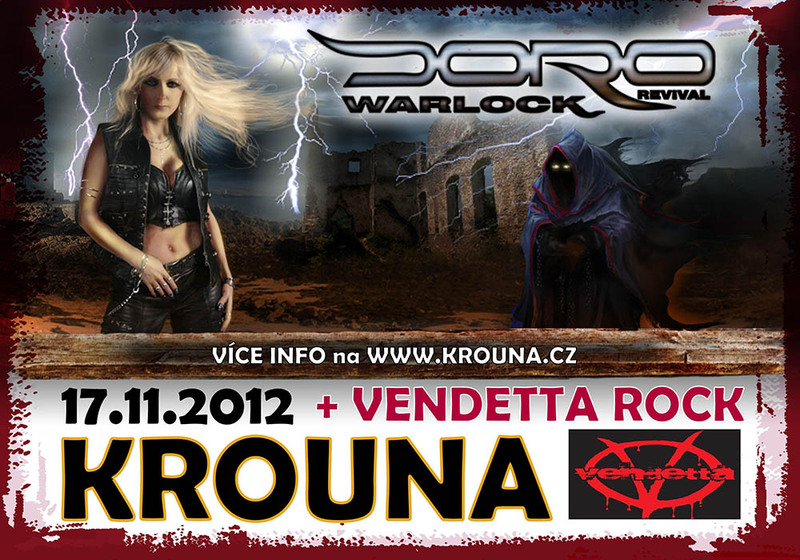 + Abba Chiquita Revival / Arconat / žonglérská show / ohňová show atd. 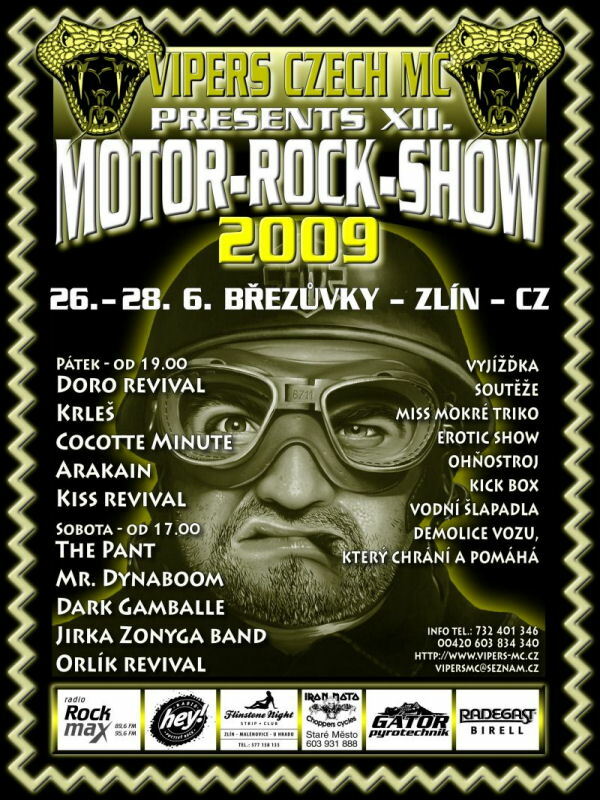 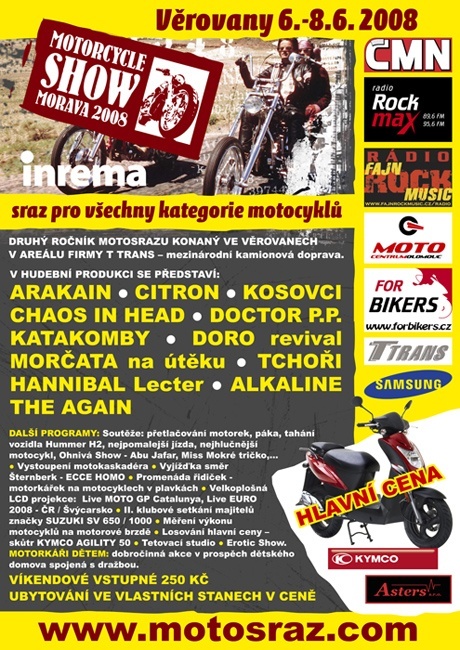 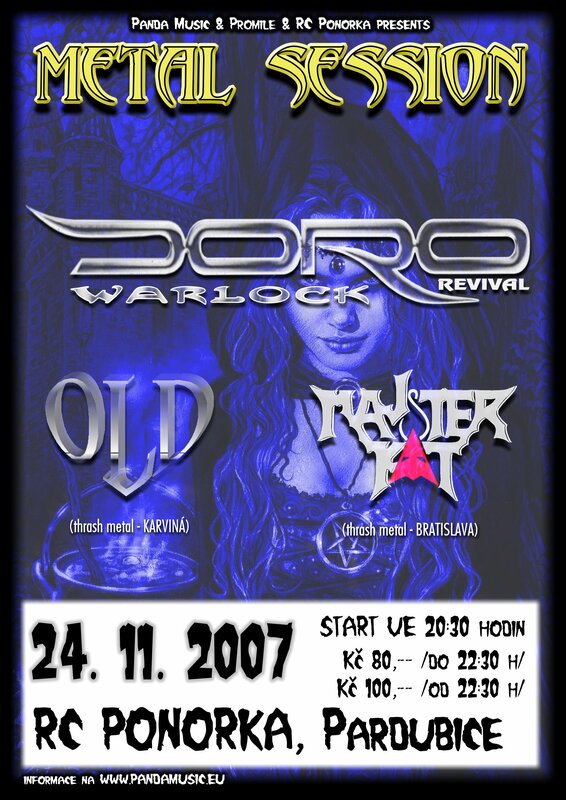 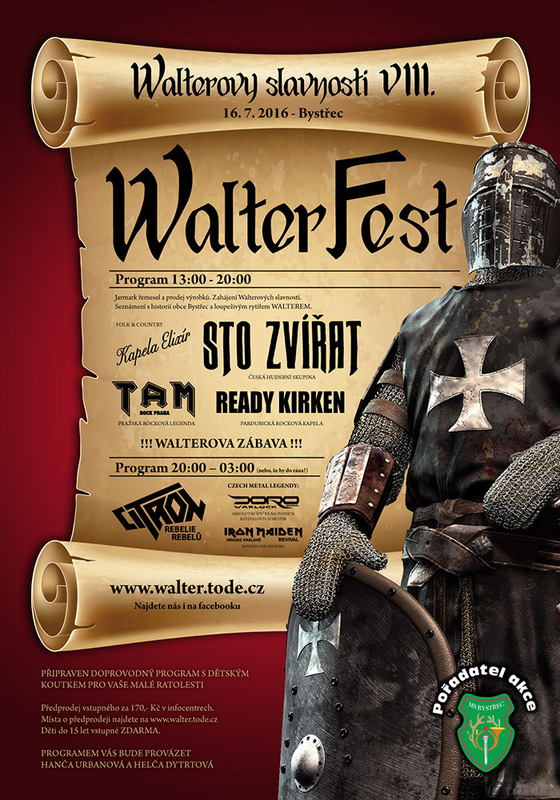 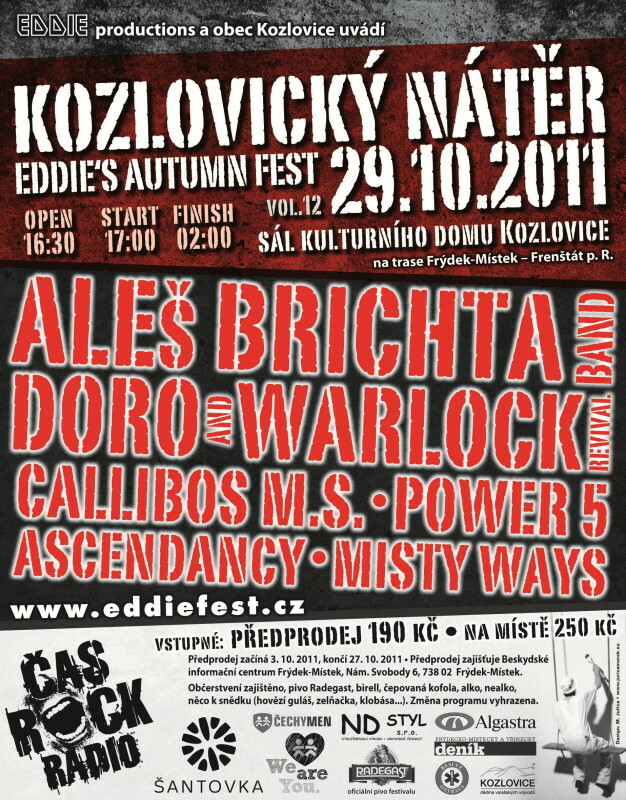 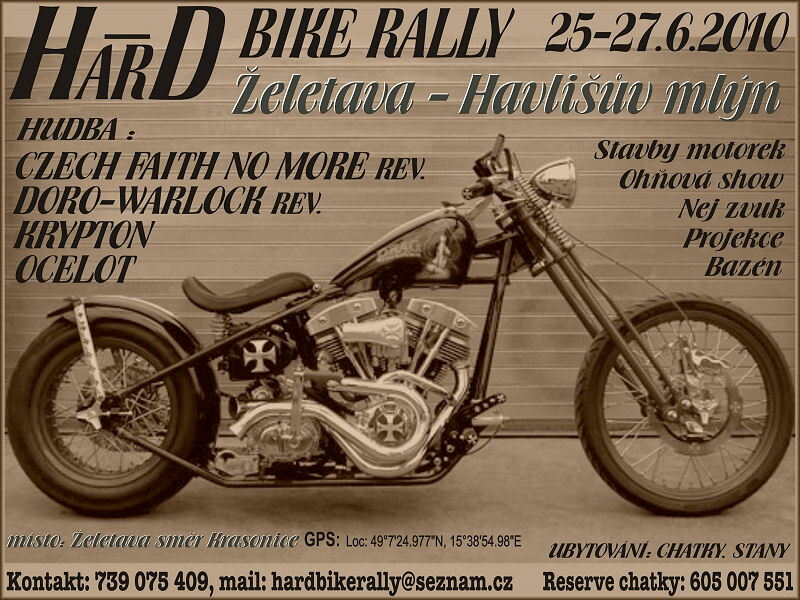 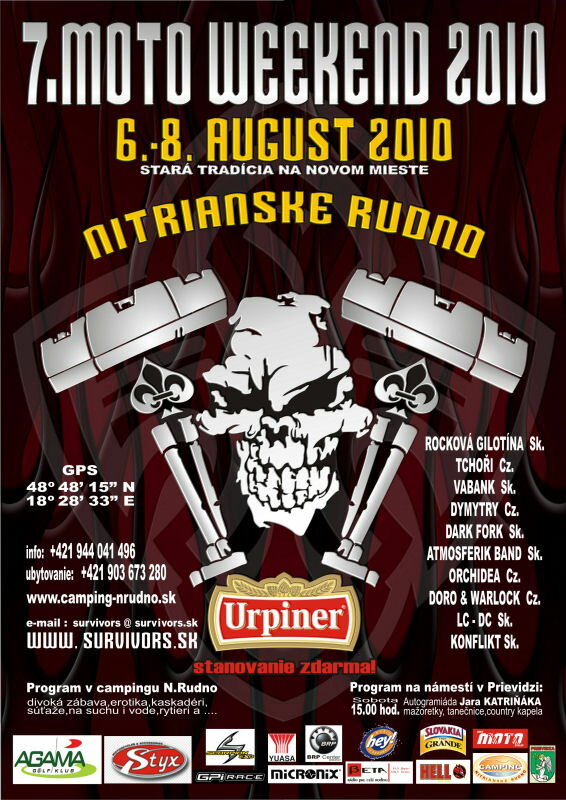 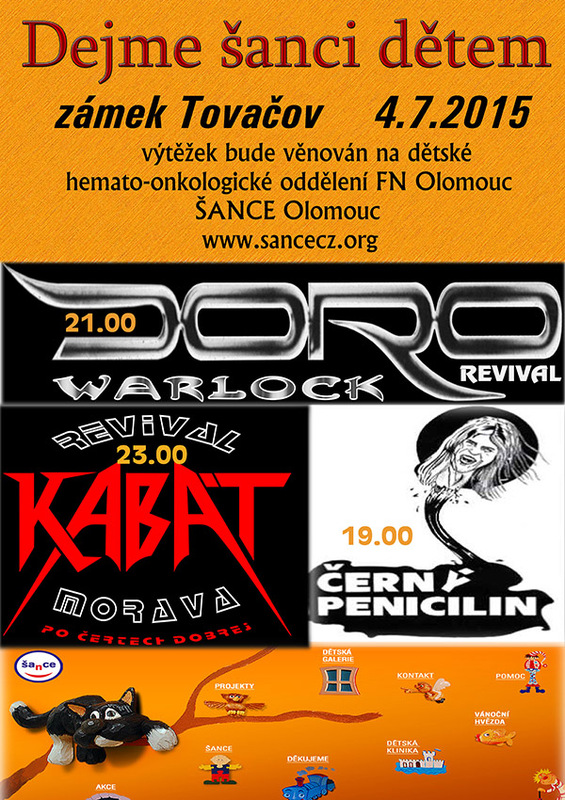 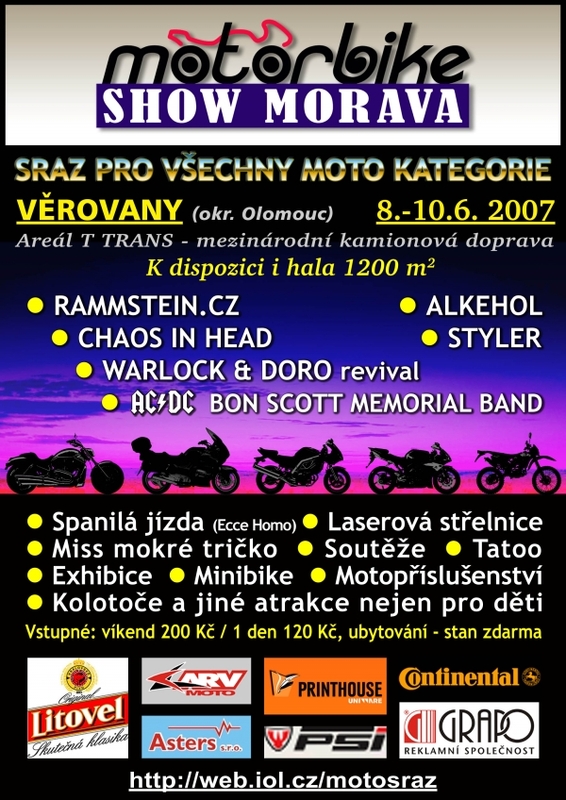 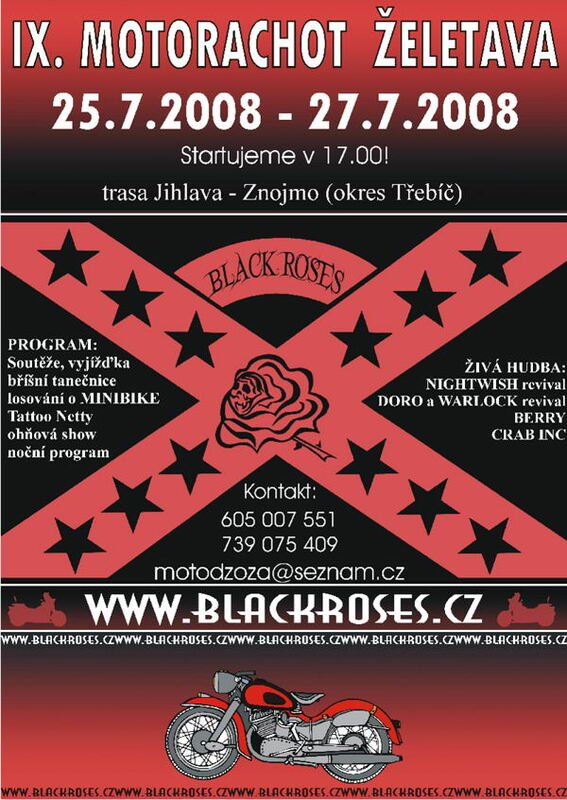 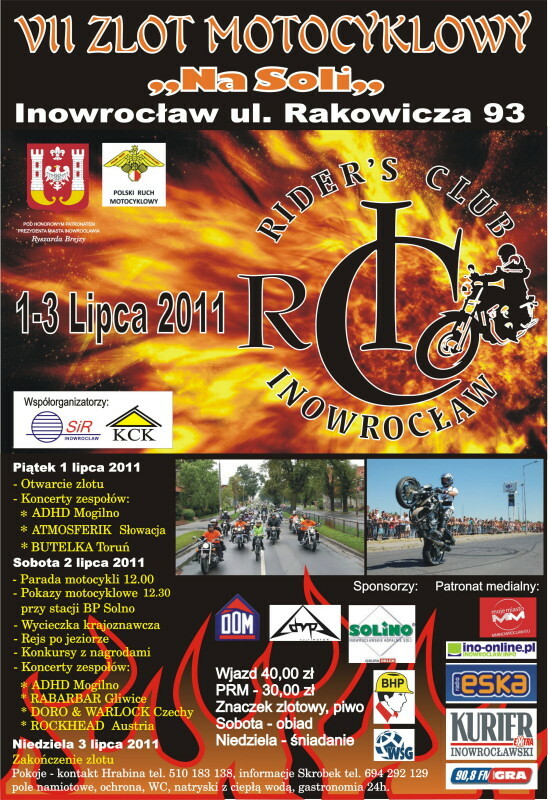 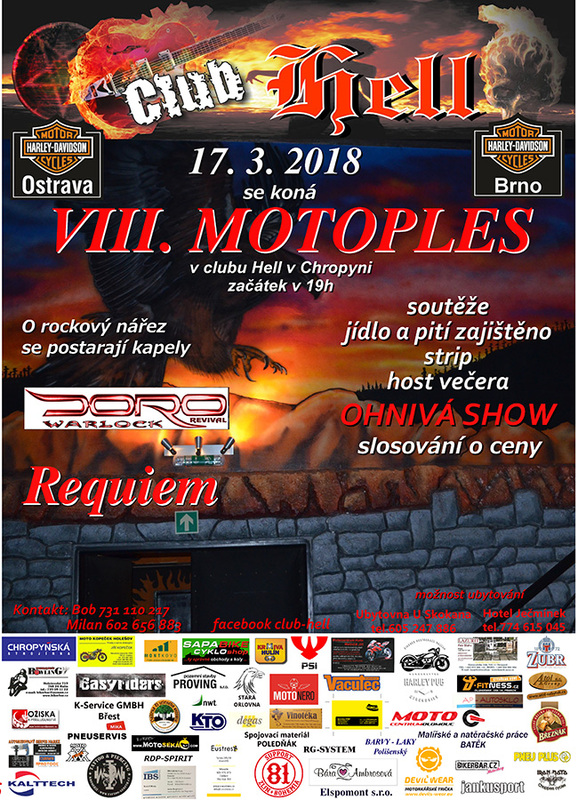 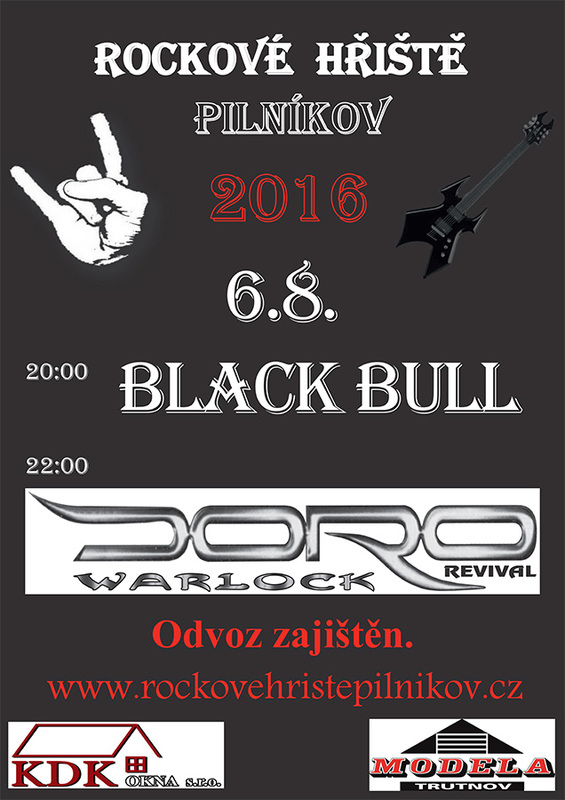 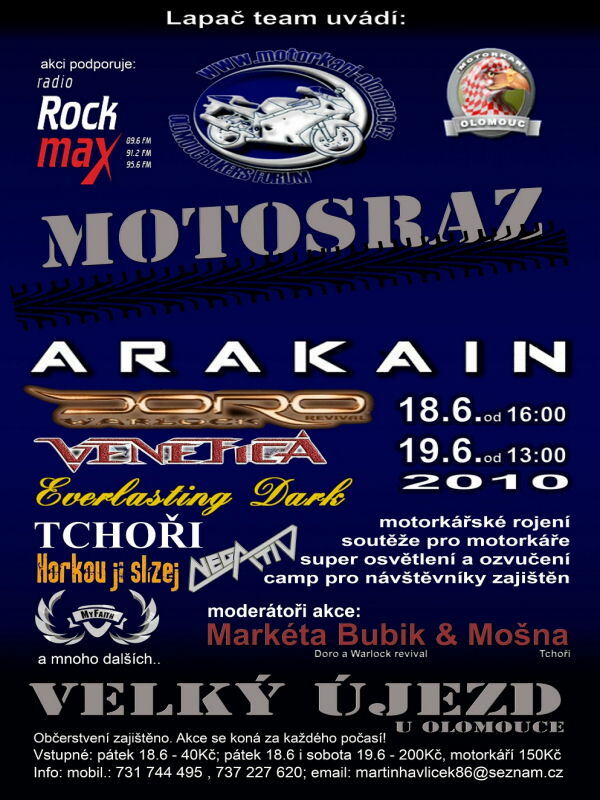 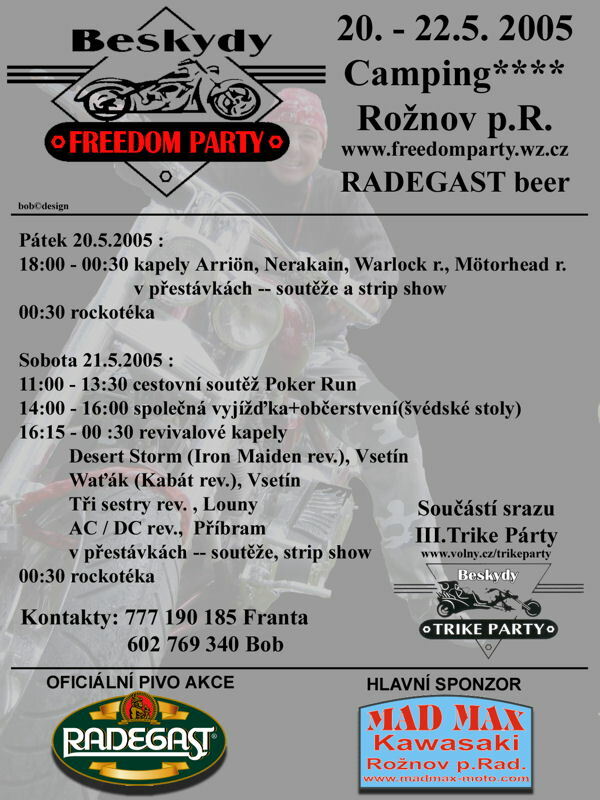 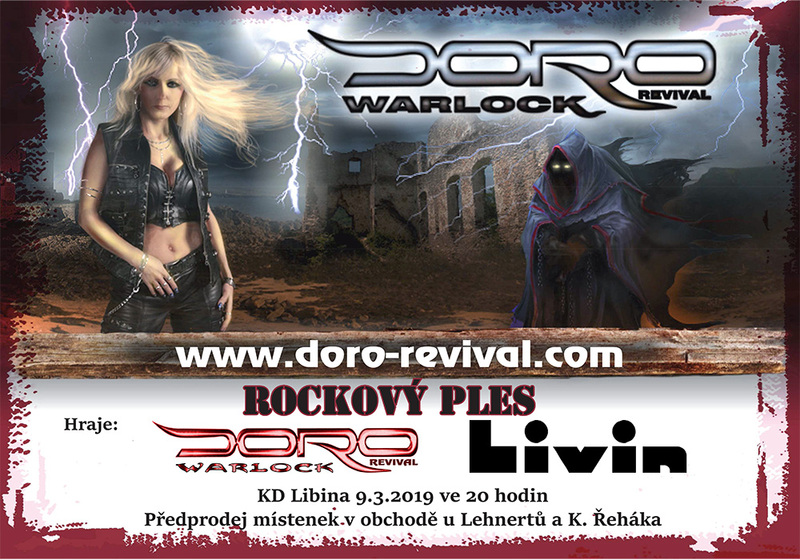 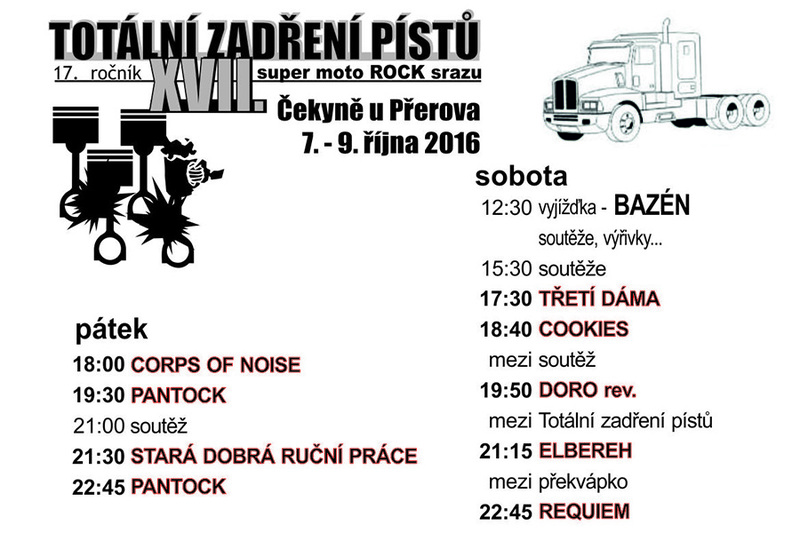 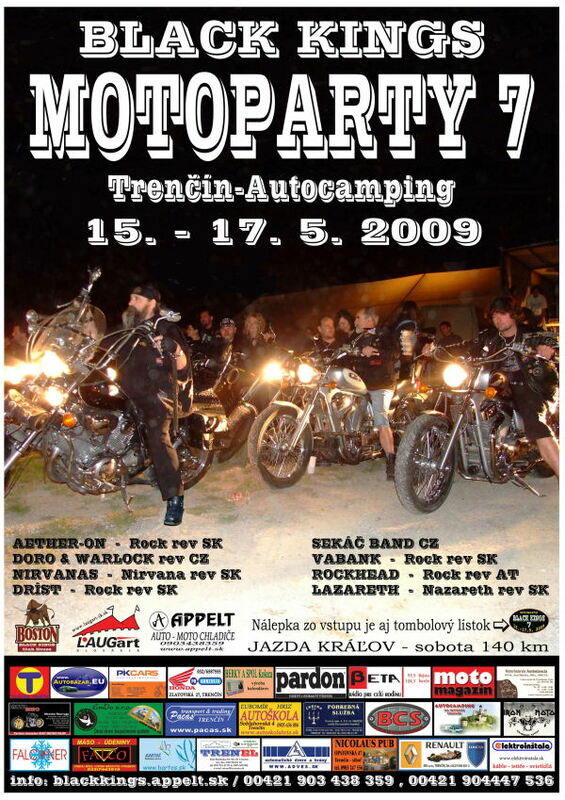 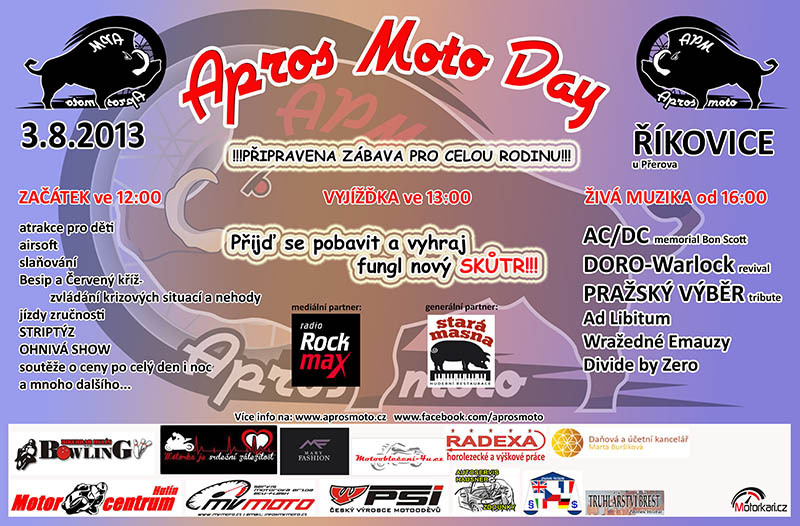 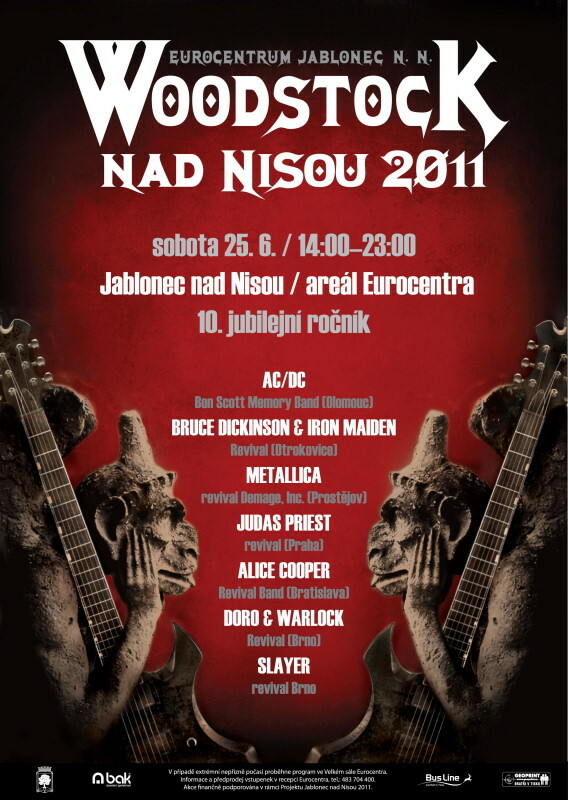 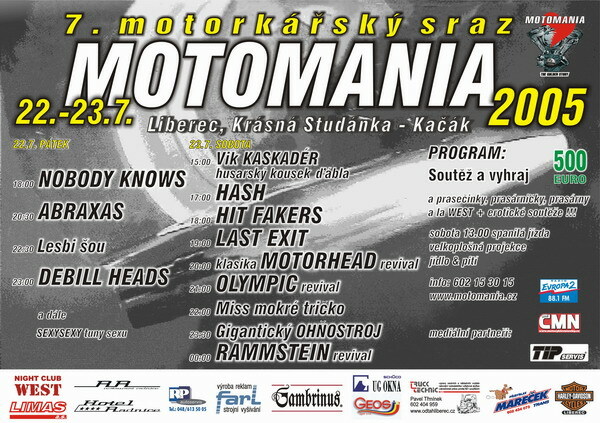 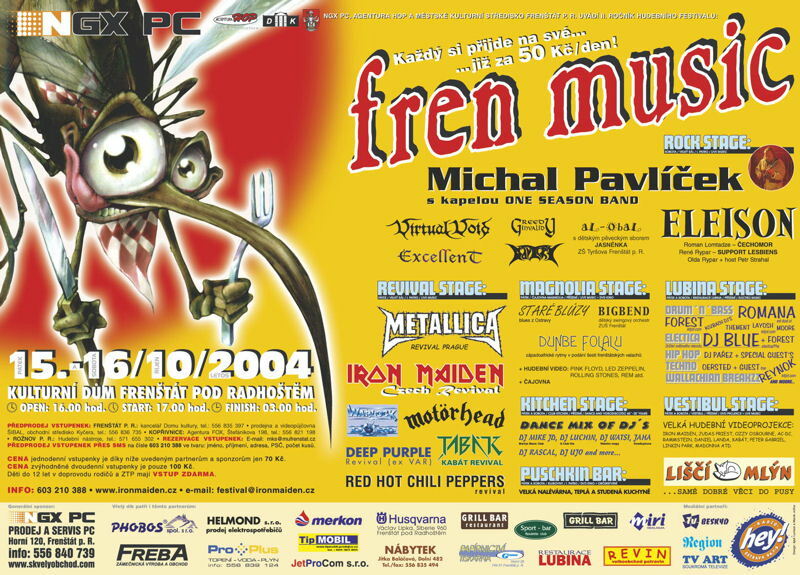 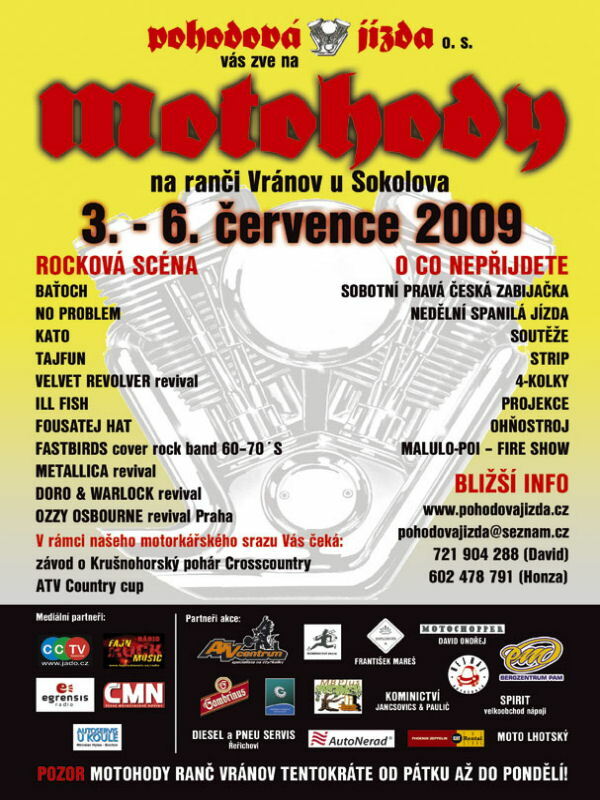 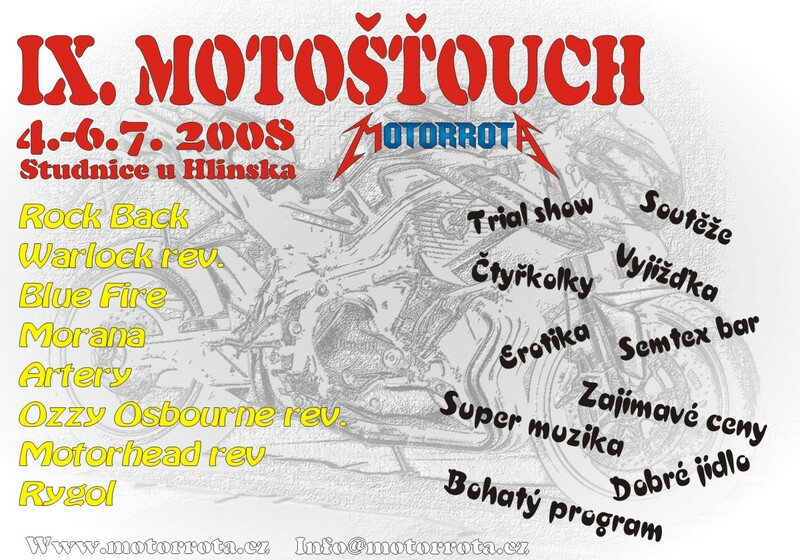 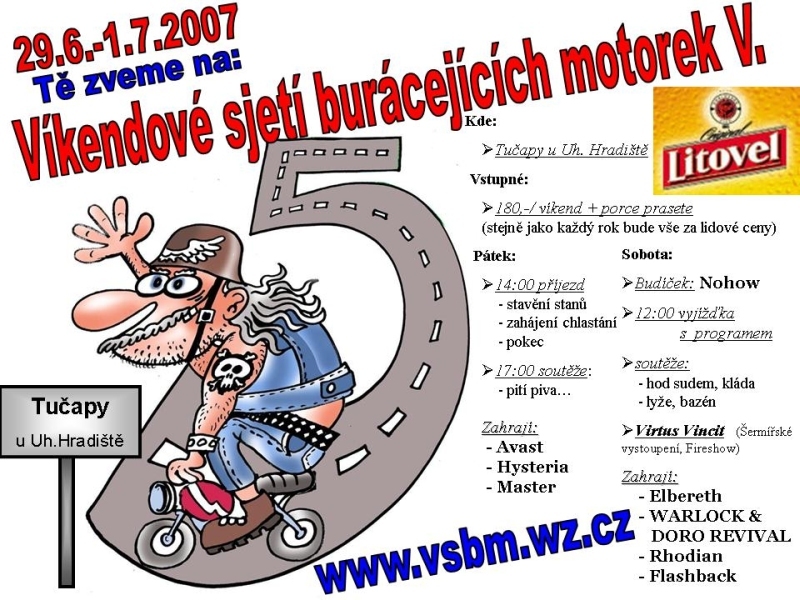 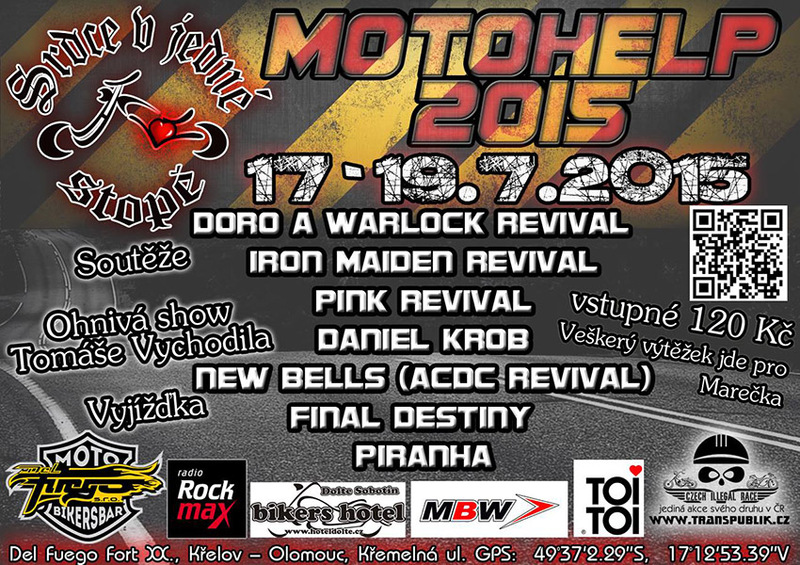 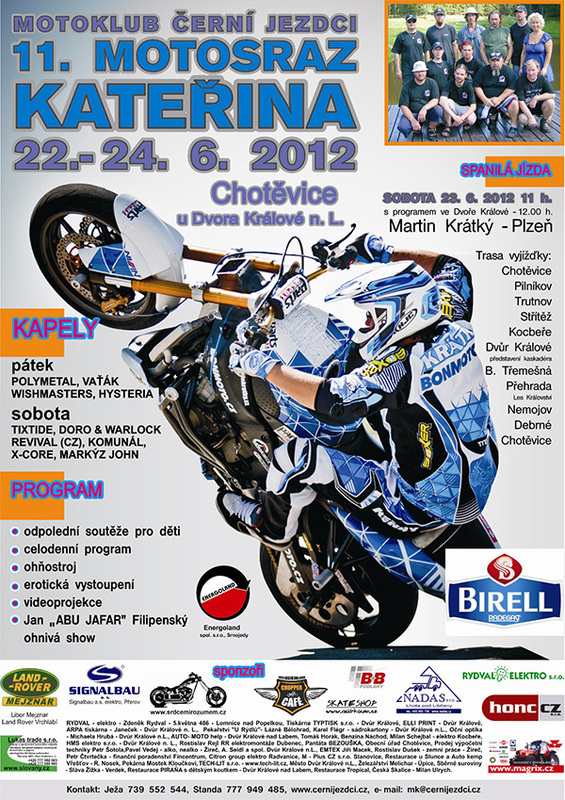 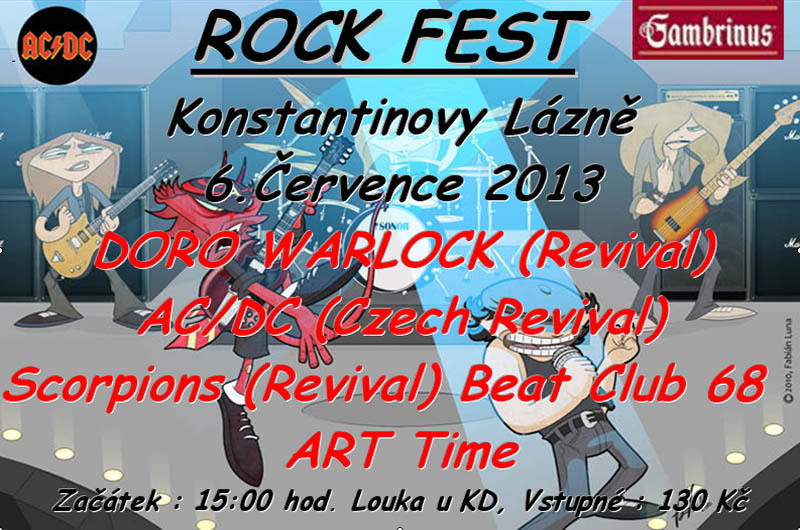 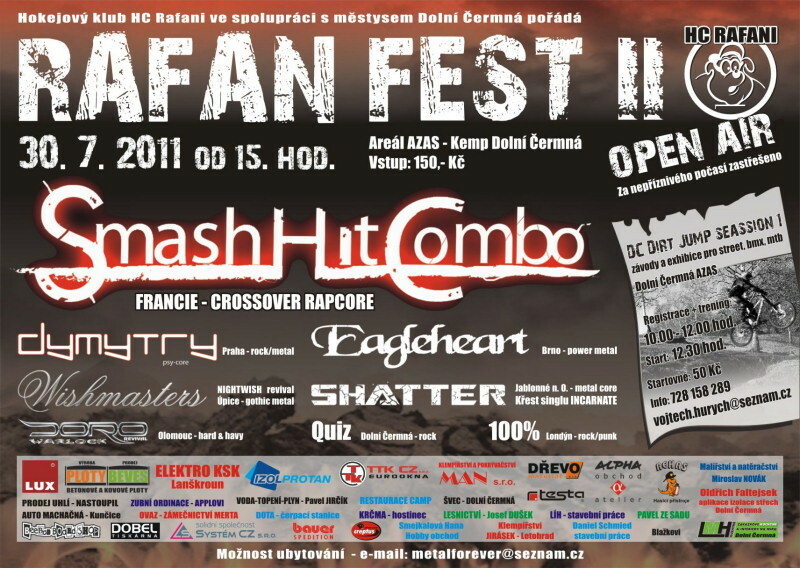 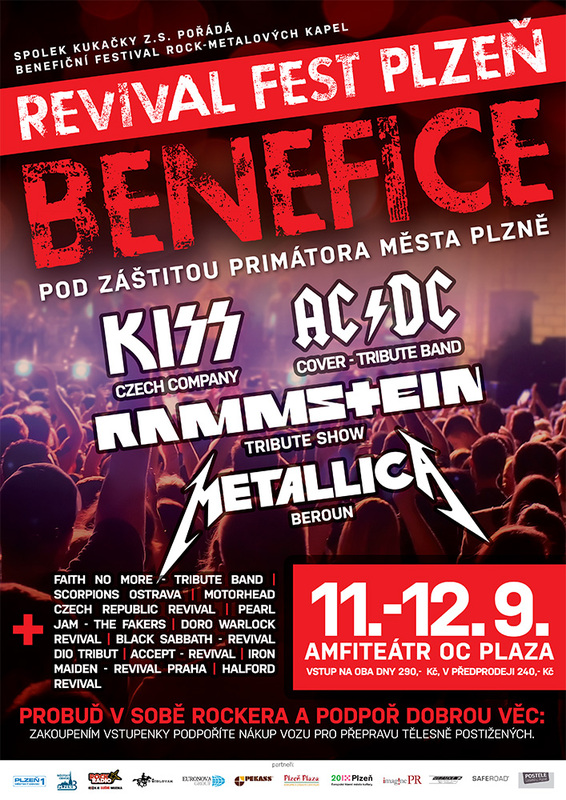 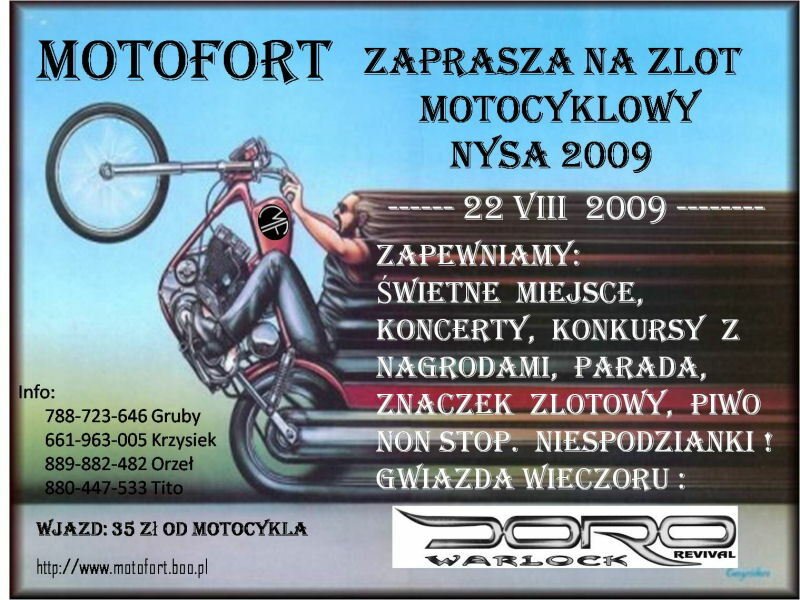 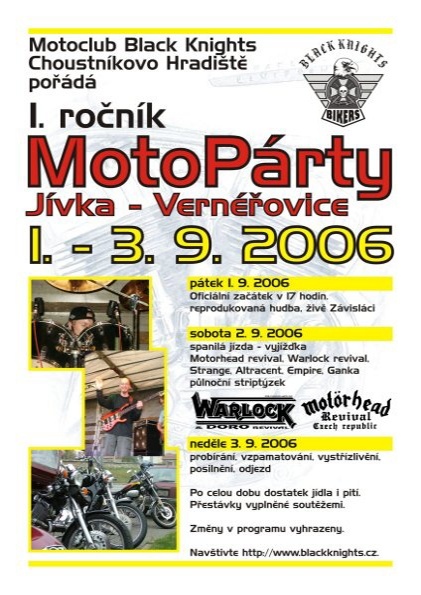 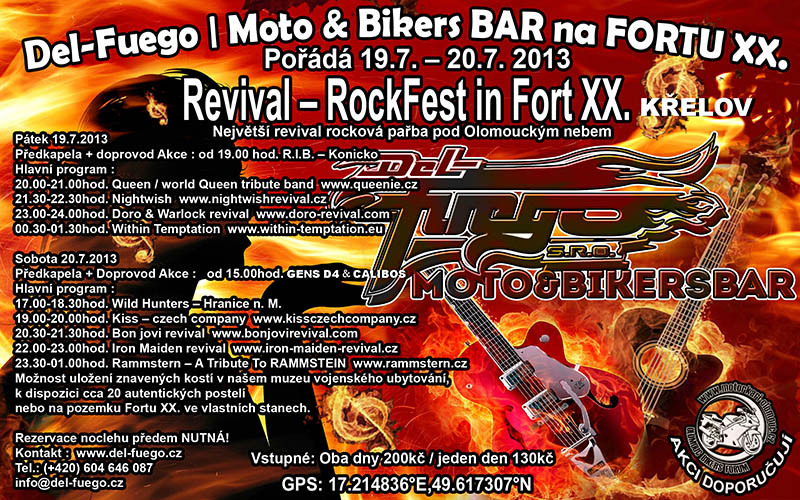 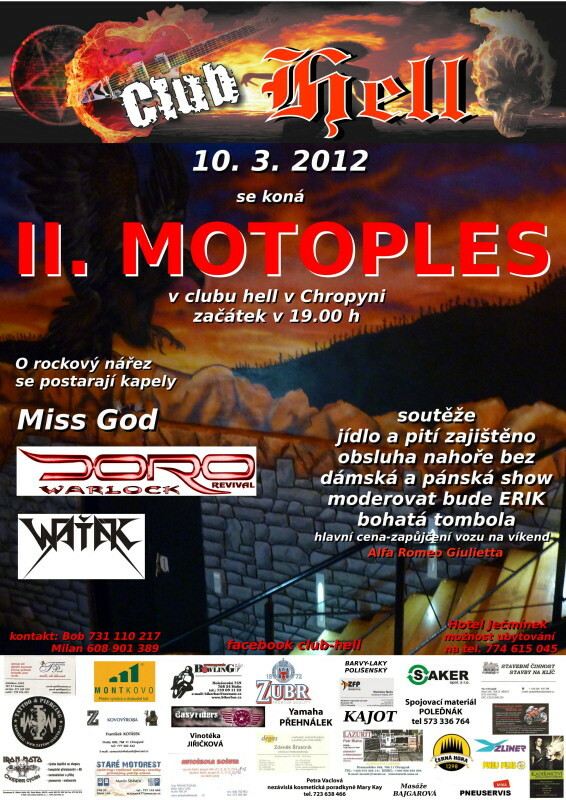 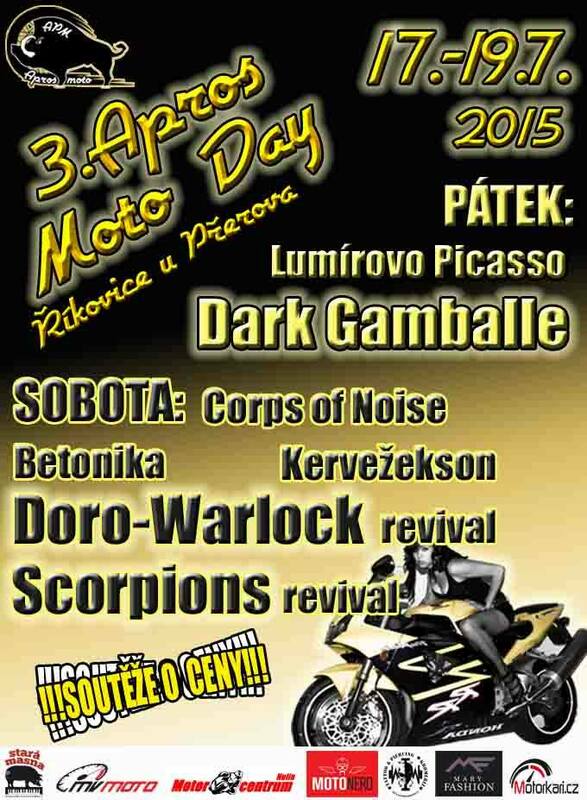 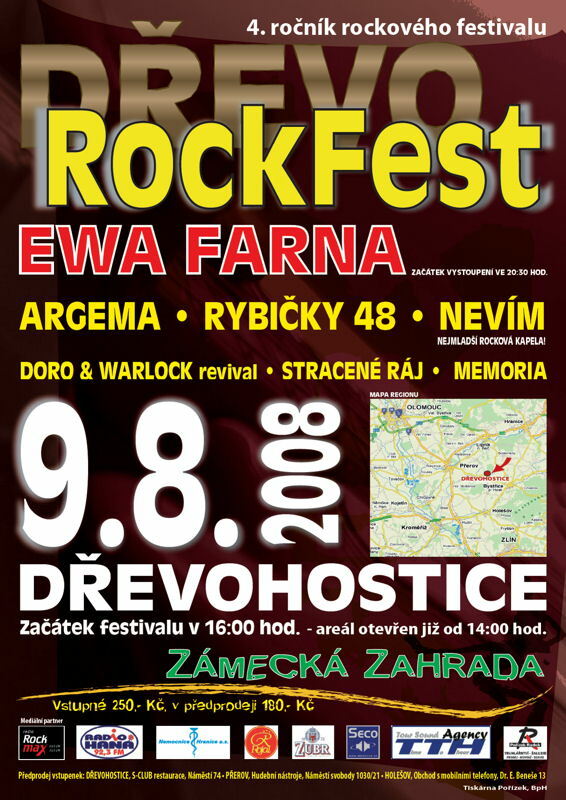 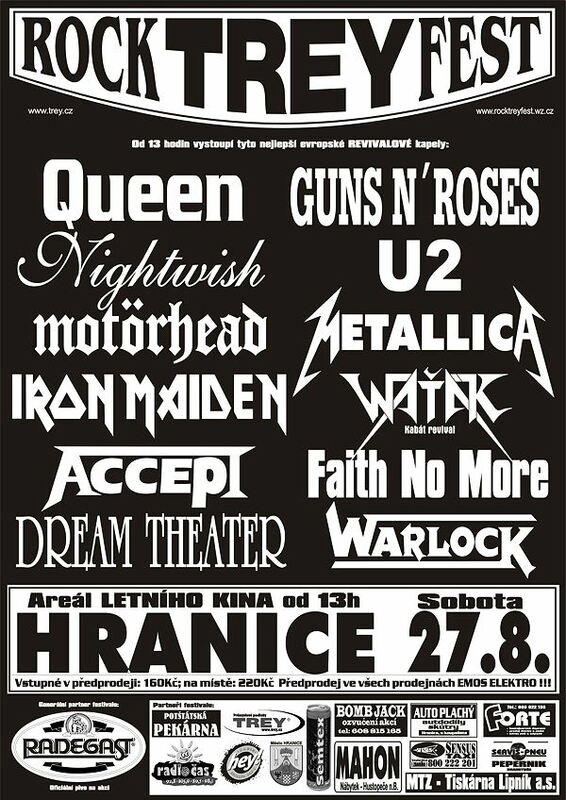 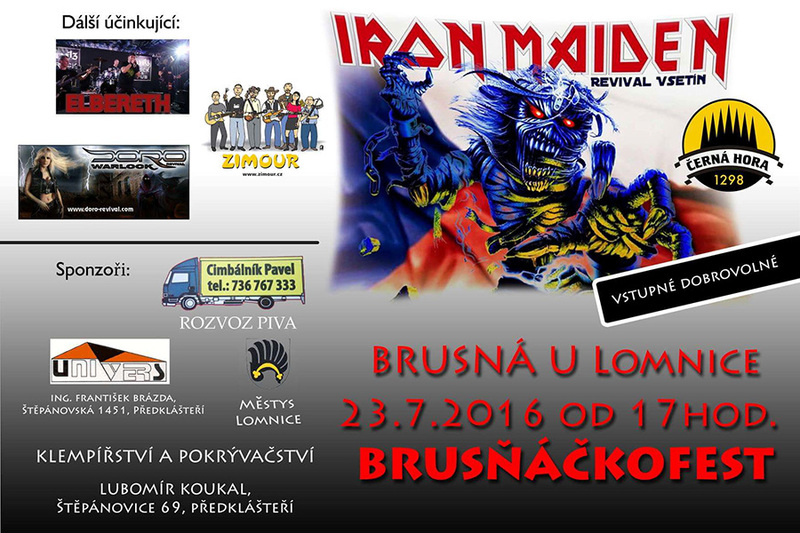 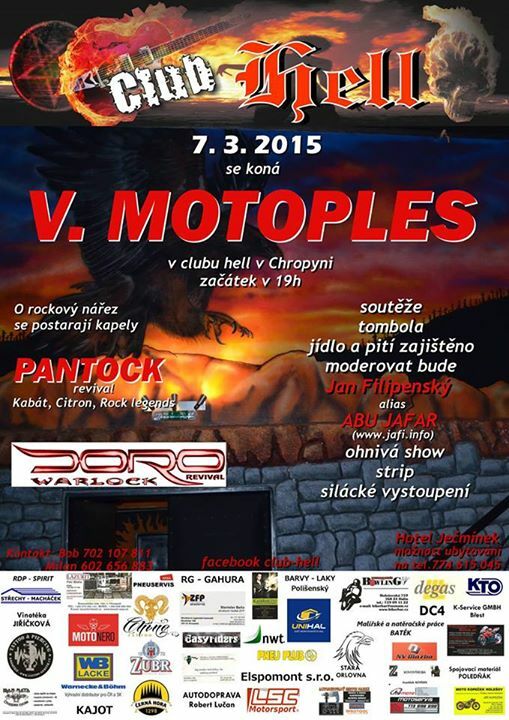 + Slayer revival / Judas Priest revival / AC/DC Bon Scott Memorial Band / Alice Cooper Revival / Bruce Dickinson & Iron Maiden Revival / Metallica revival Damage Inc.
Pohoří, okr, Nové Město n.M.
FEST "KŘEST CD KAPELY KOMAT"
+ Miloš Dodo Doležal / Axis Magna / Traktor / Tchoři / Bethrayer / R.A.F. 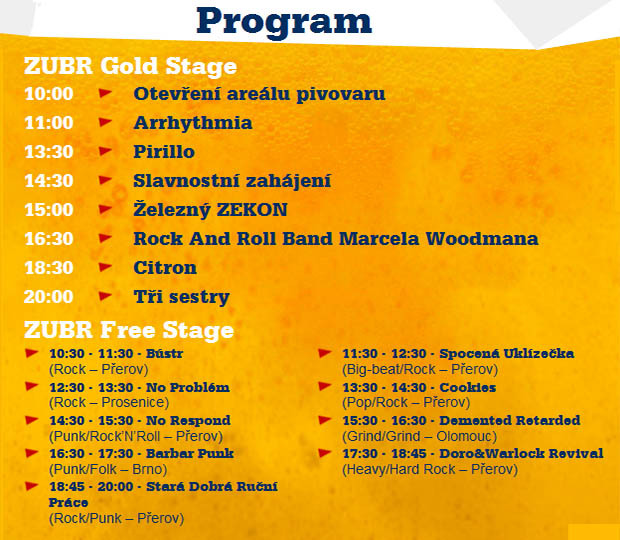 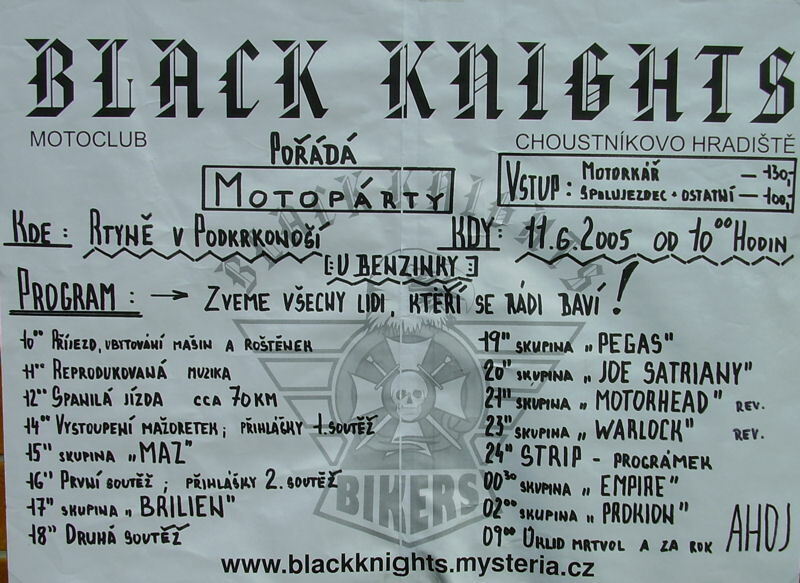 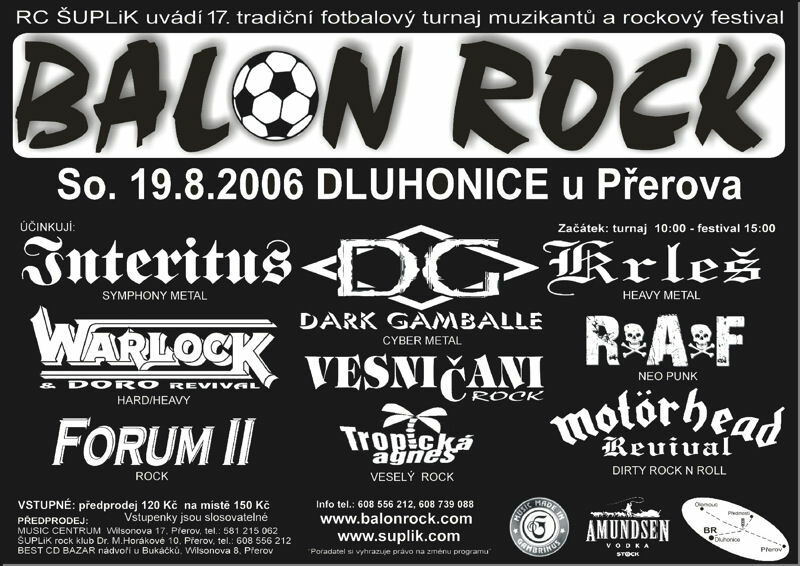 + Kyvadlo, Debill Heads, Vaťák, Dragon, Nevim, Alibi Rock atd. 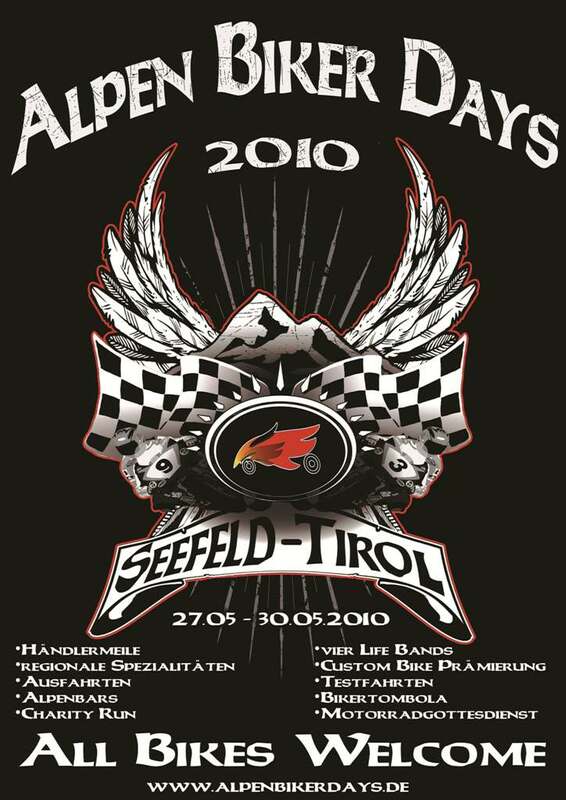 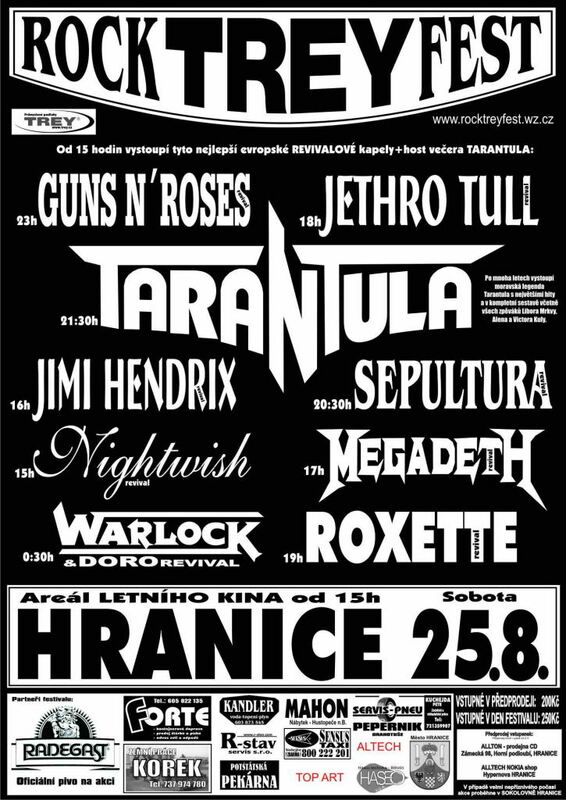 + Abraxas, Hash, Last Exit, Rammstein revival, Olympic revival atd. 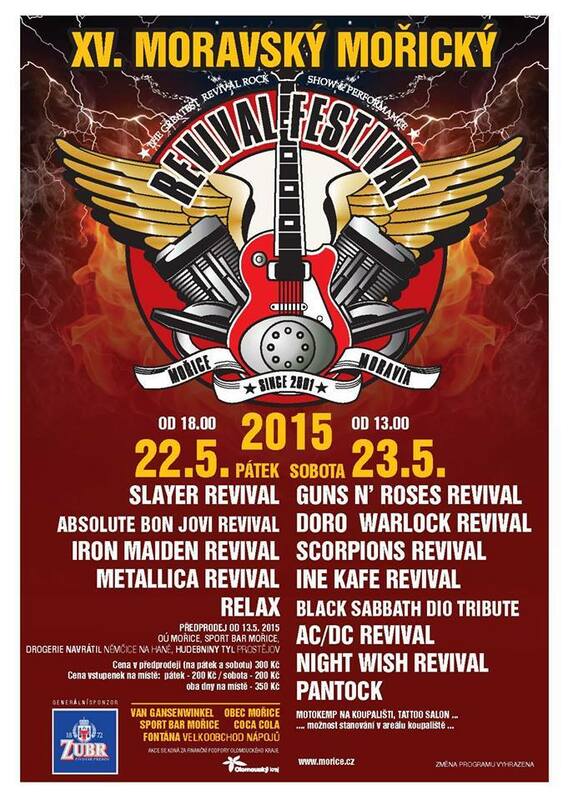 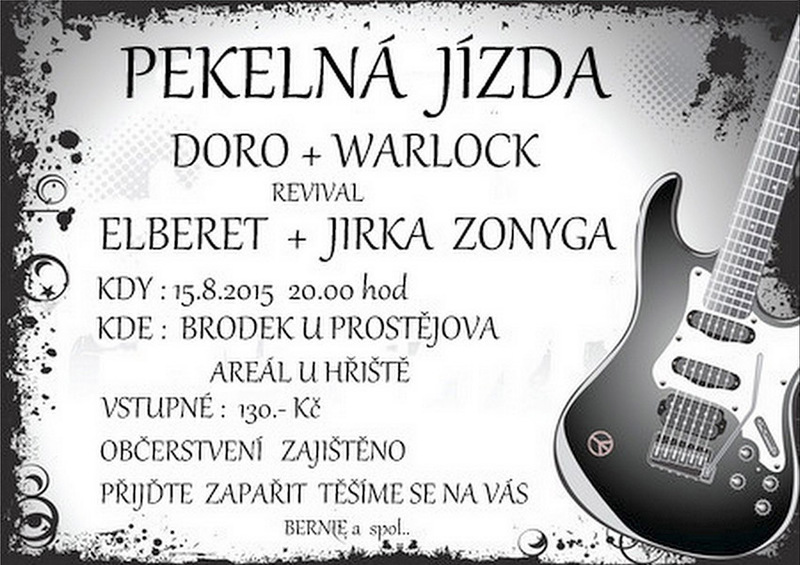 + Joe Satriani revival, Brilien, Maz, Pegas, Empire atd. 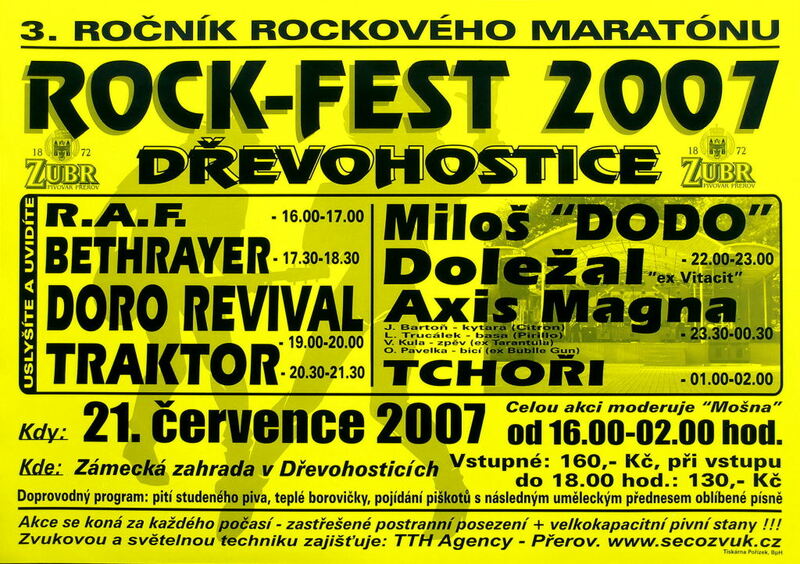 + Arriön, Nerakain - Arakain revival, Waťák - Kabát revival, Tři Sestry revival atd. 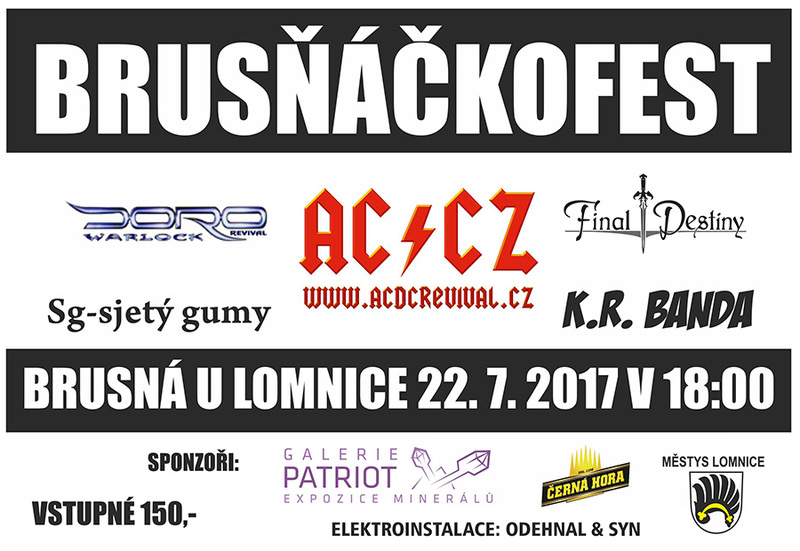 + Michal Pavlíček - One Season Band, Iron Maiden Czech revival, Staré Blůzy atd. 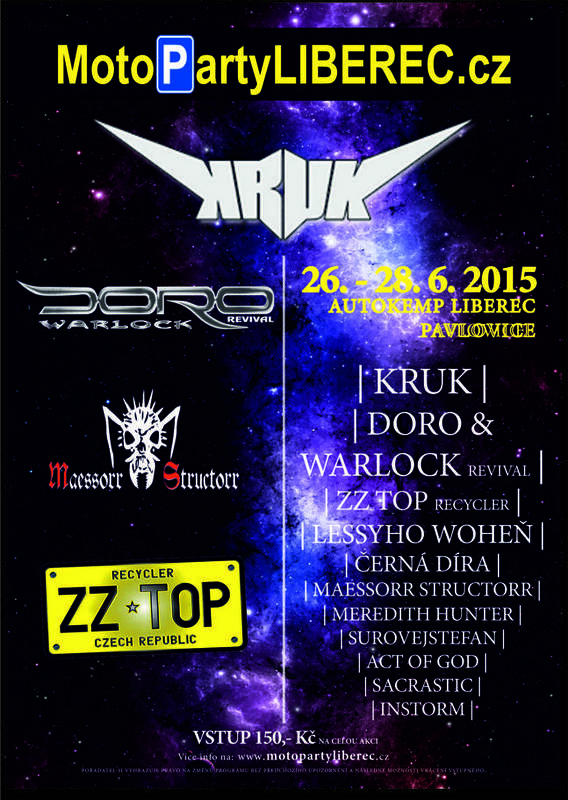 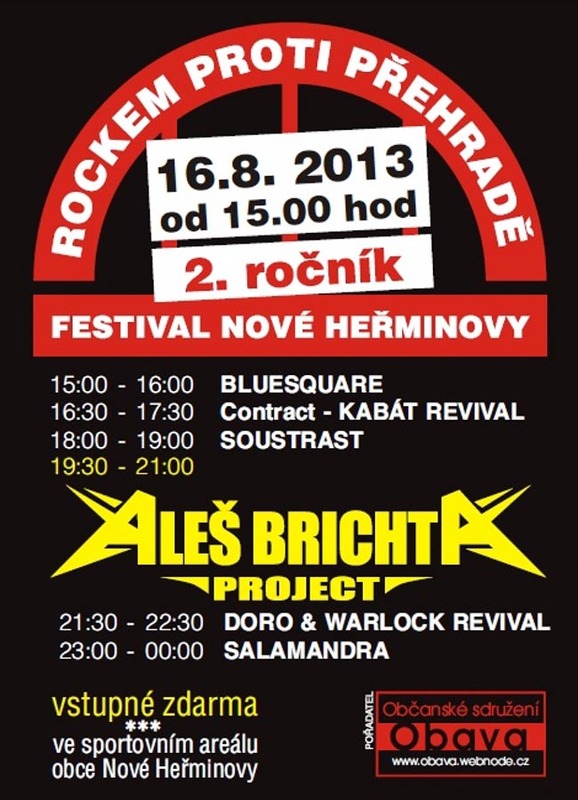 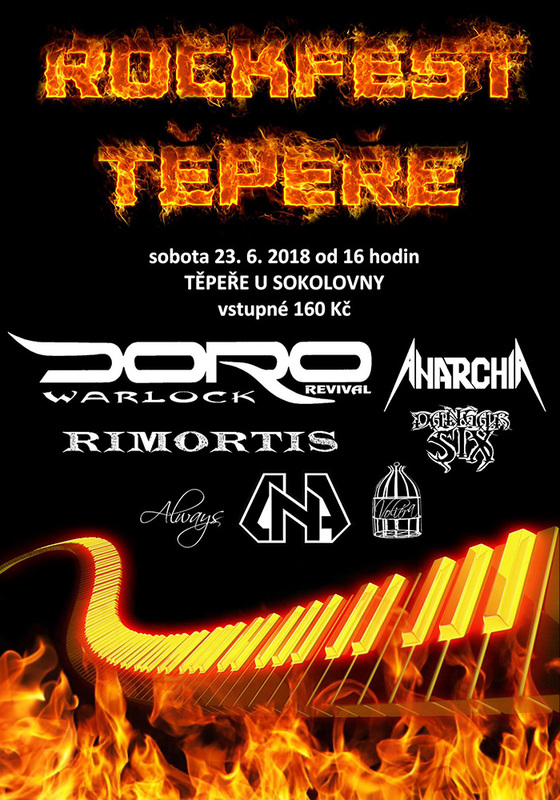 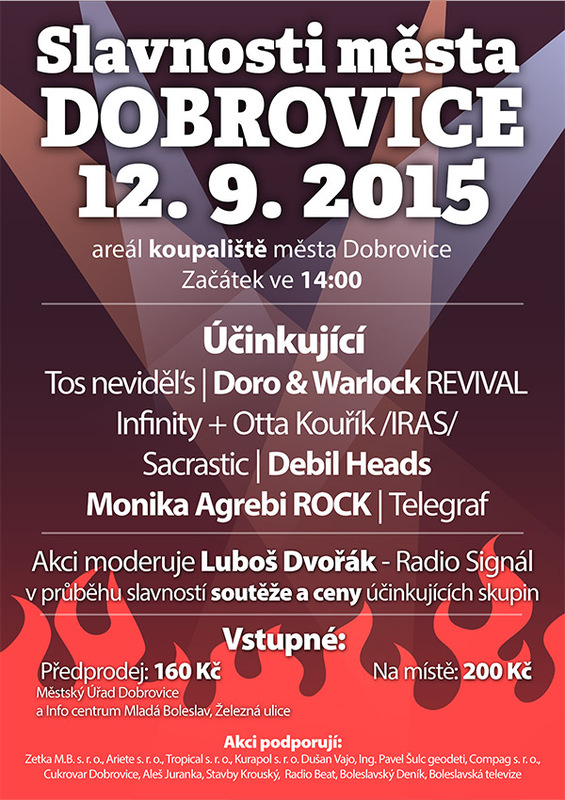 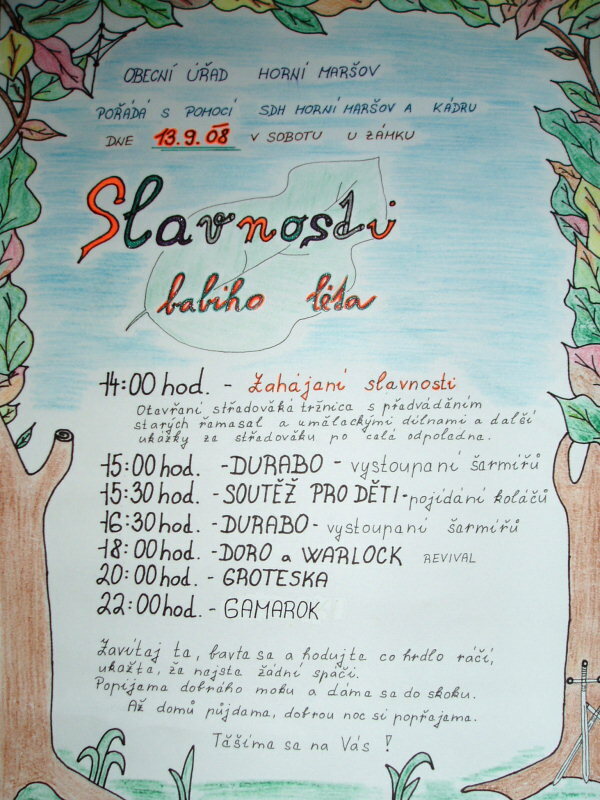 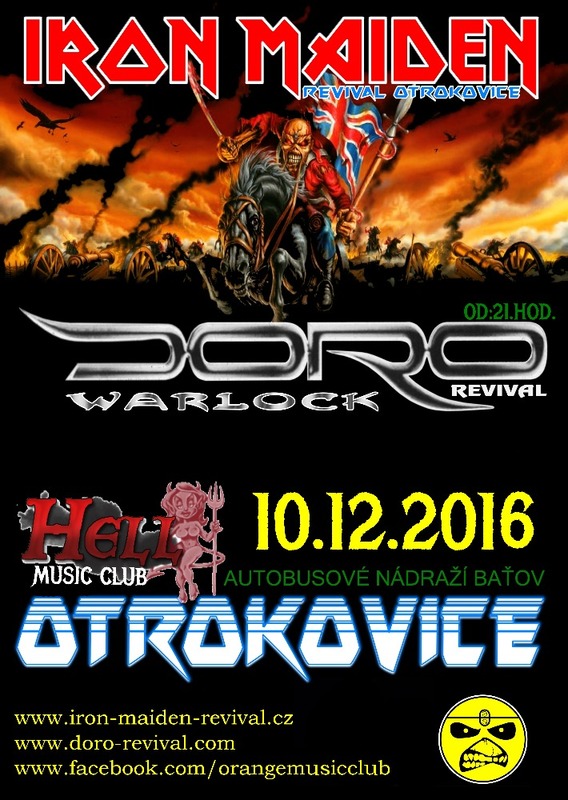 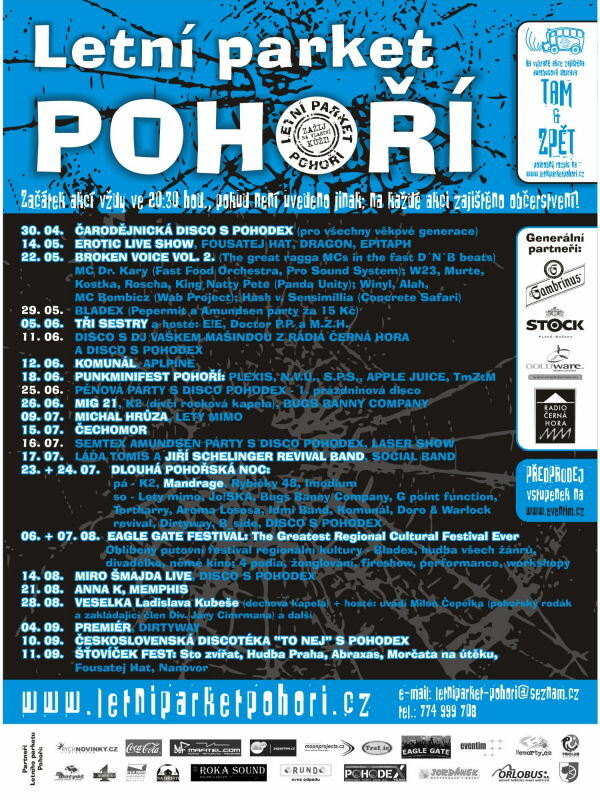 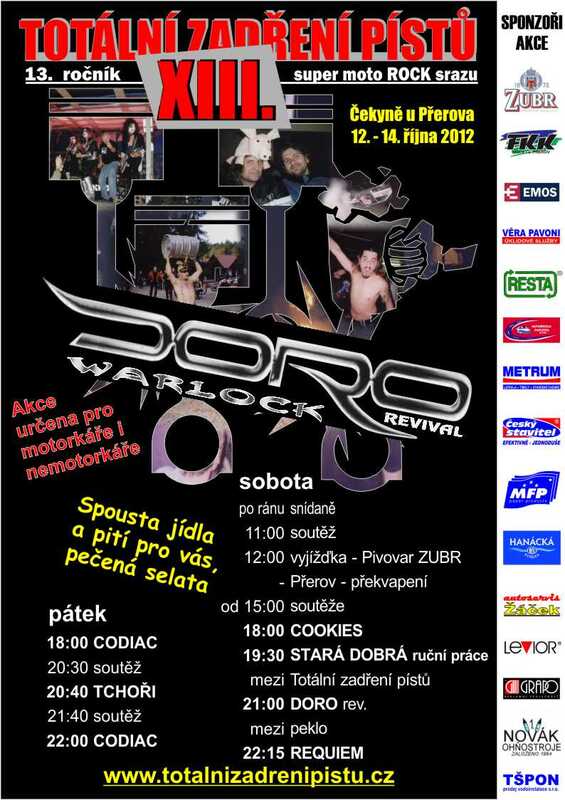 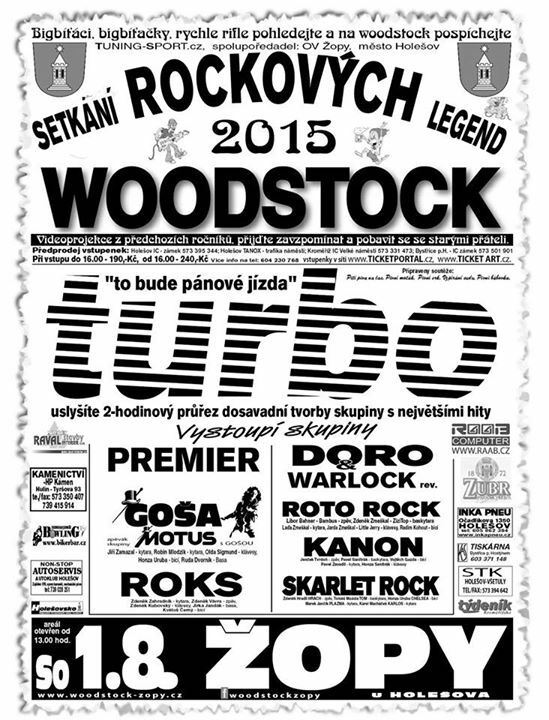 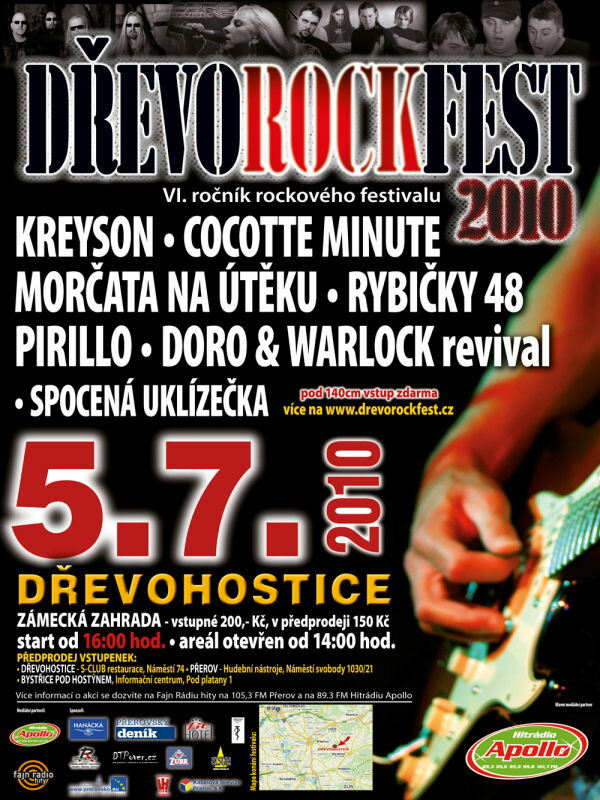 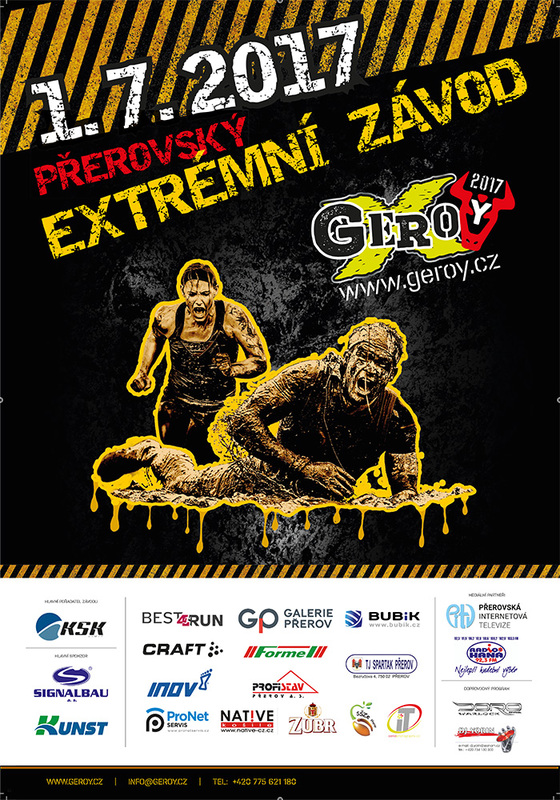 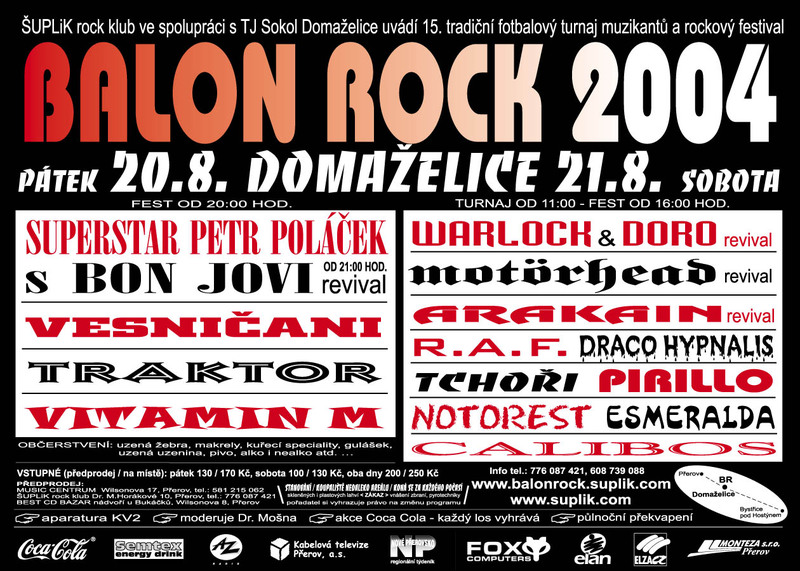 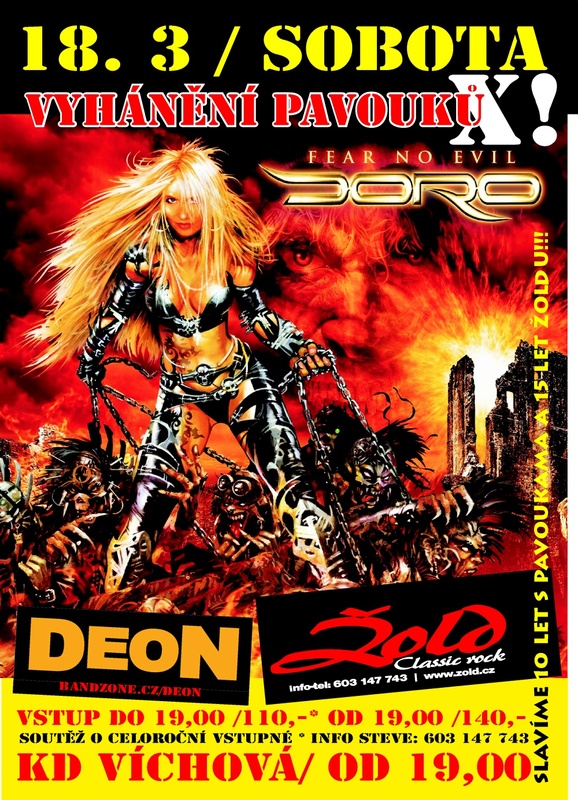 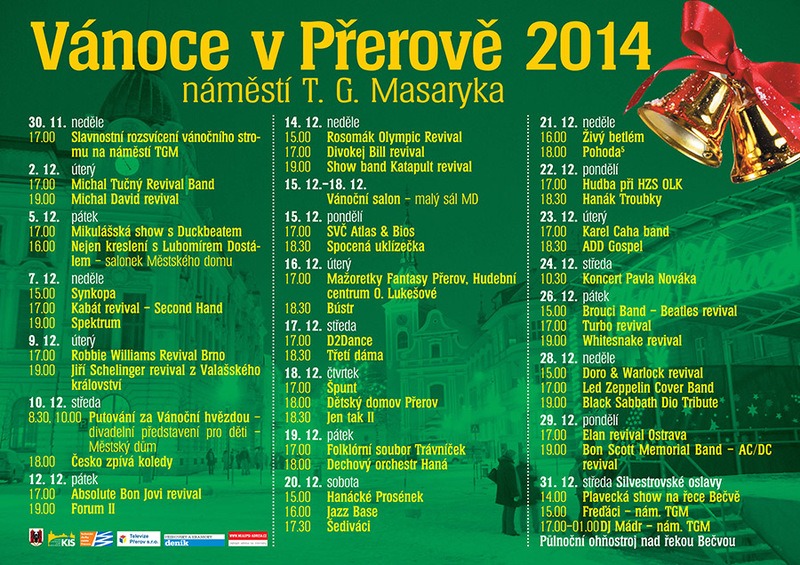 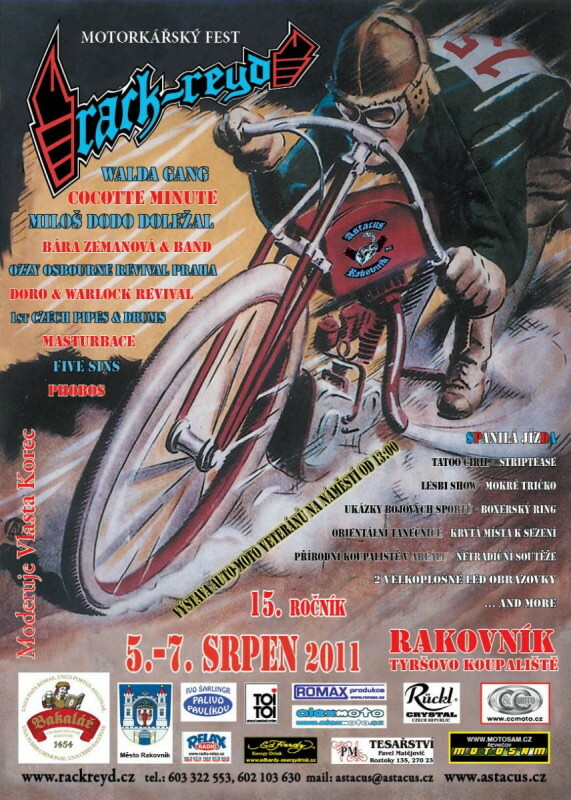 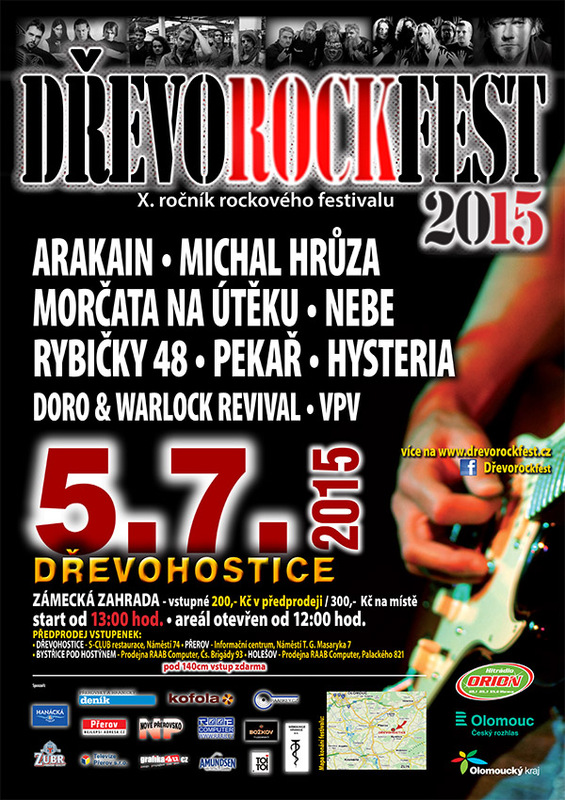 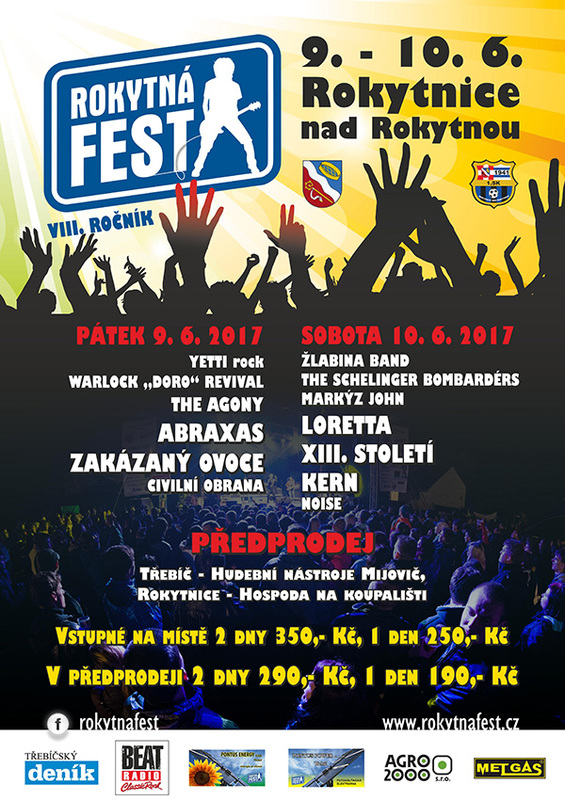 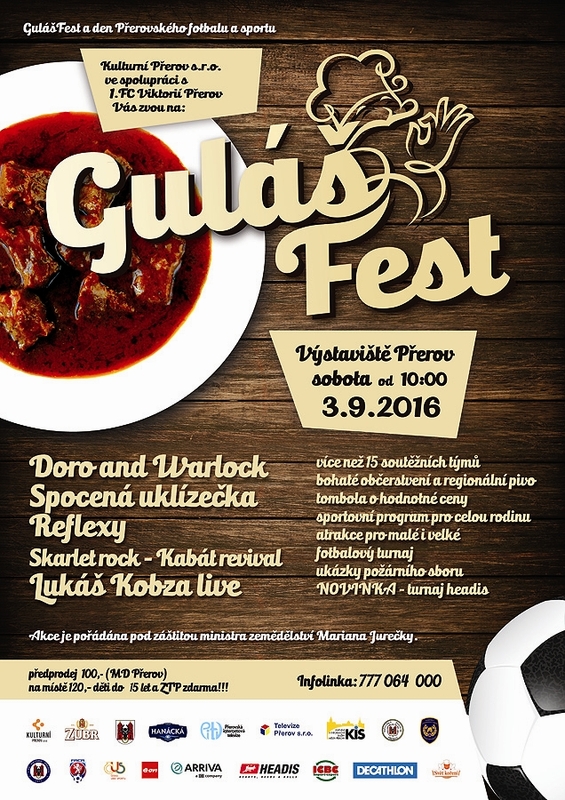 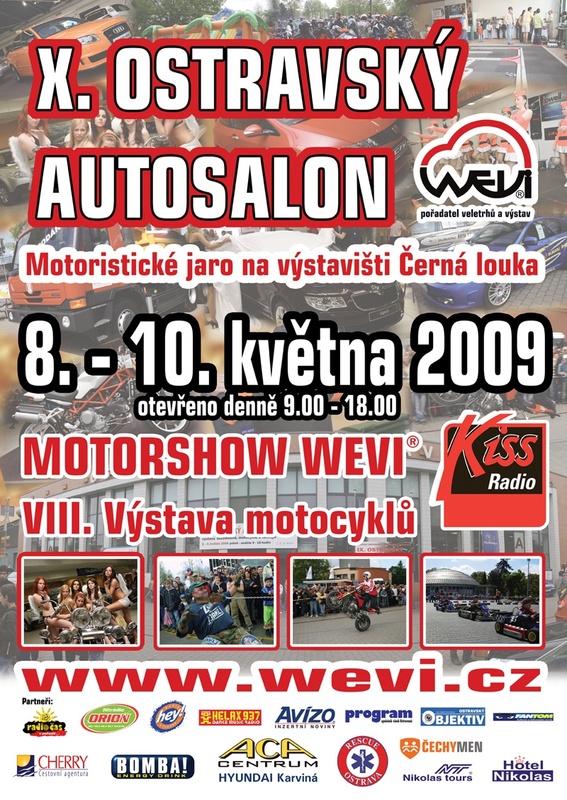 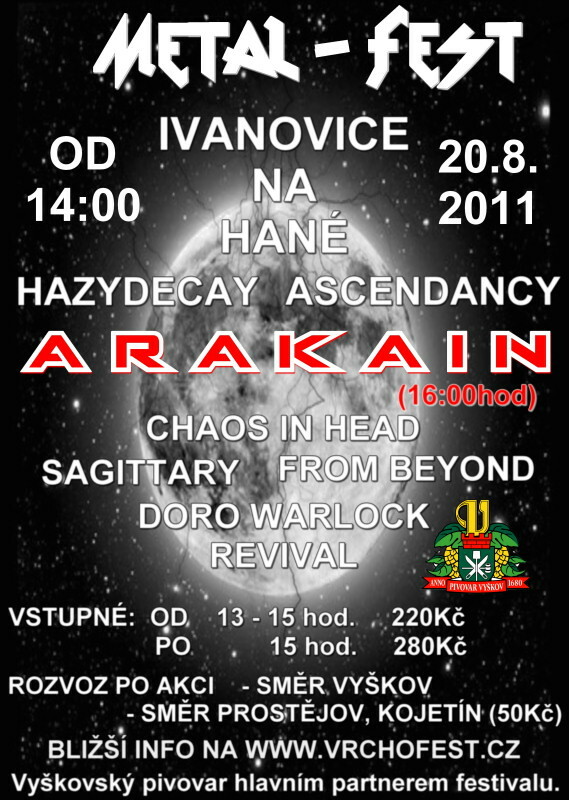 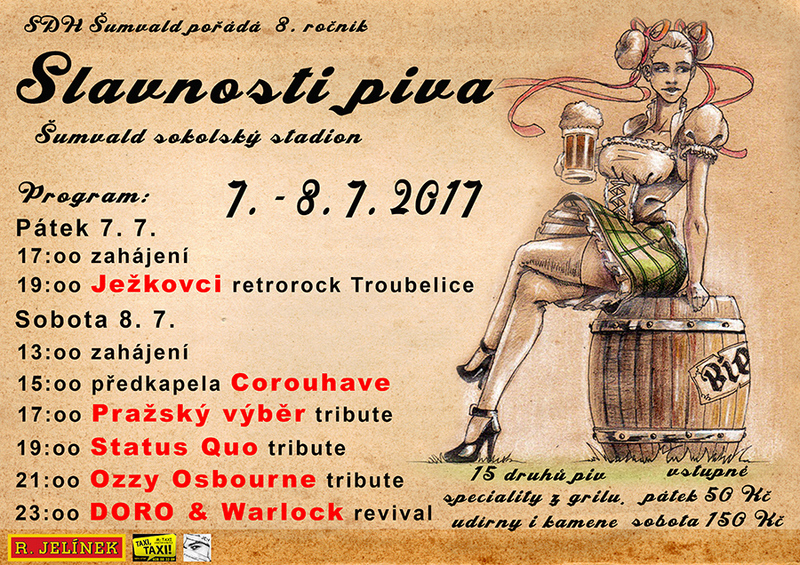 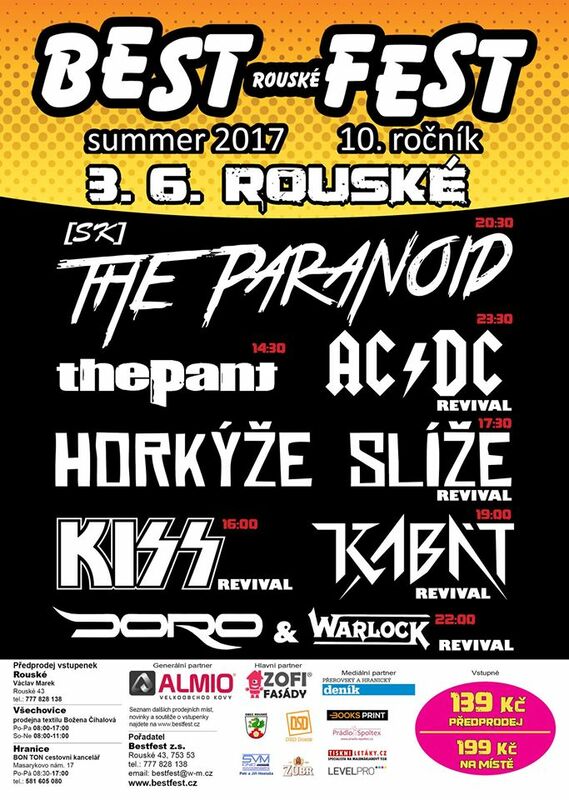 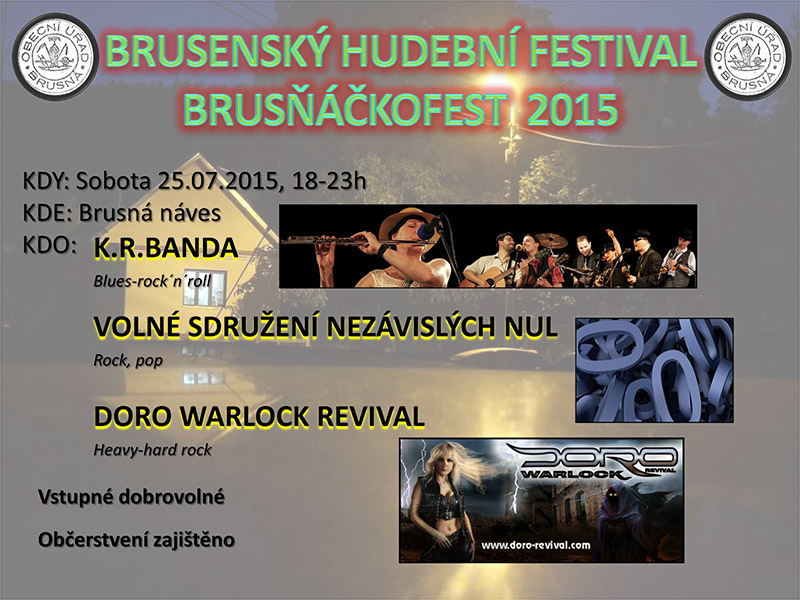 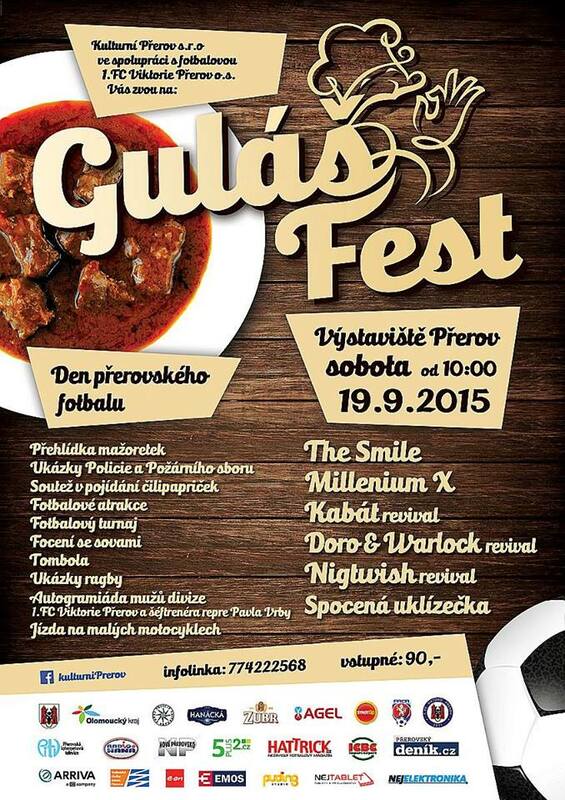 + Vesničani, Calibos, Tchoři, Vitamín M, R.A.F., Araka-In revival, Draco Hypnalis atd. 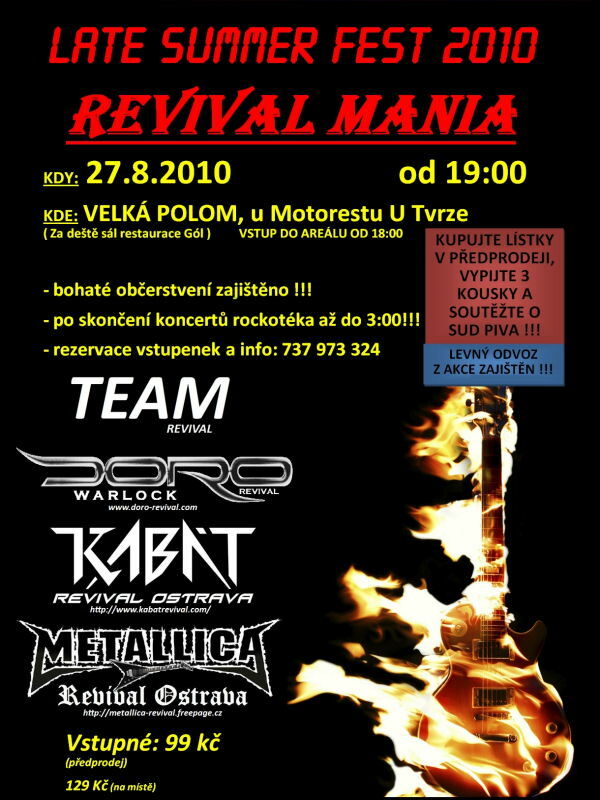 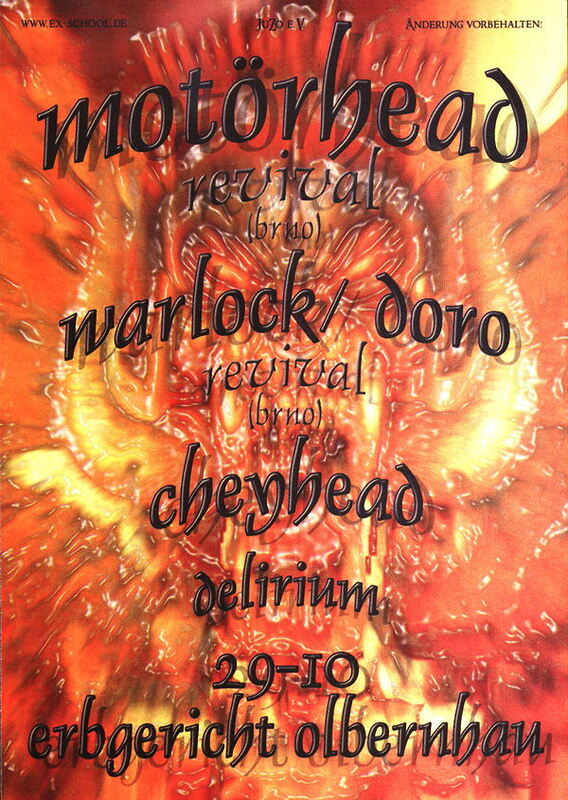 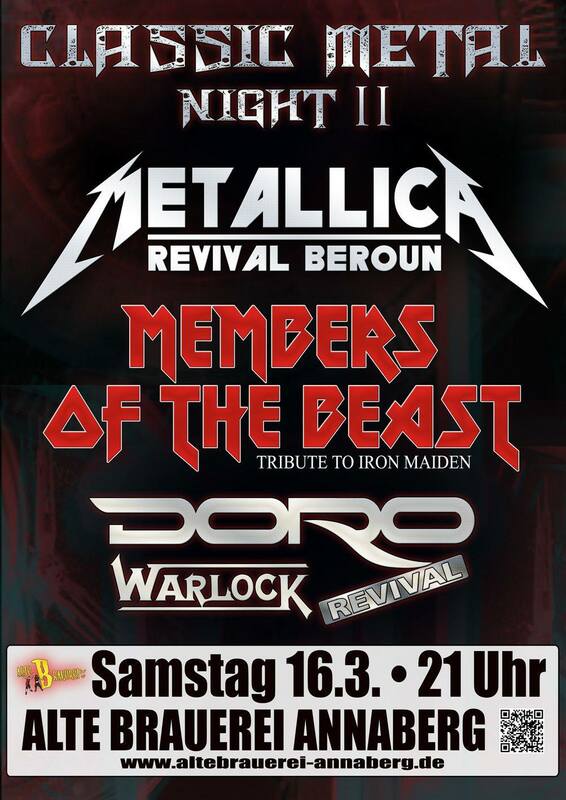 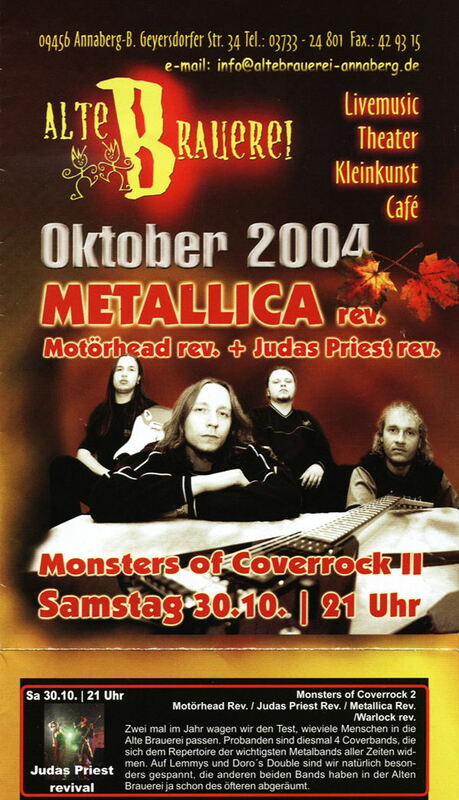 + Motörhead revival / Metallica revival - Damage Inc.